We’re sneaking up on 11 months since I moved into my rental home, and never in a million years did I think that I’d remain in this little rental for this long. I was quite confident that I’d find my new “forever home” lickety split. It’s been a long and winding road, searching for my “forever home” and in that time, I’ve switched back and forth from old houses (1950s) to new (1990-2010) back to old (1930s) and every place in-between. I’ve looked at ranches, two-story homes, foursquares, Tudor Revivals, Colonial Revivals, International Style, Cape Cods, classic Mid-Century Modern houses, Log Homes, and plain old farmhouses. There have been many interesting experiences, such as the time I crawled under a house with a licensed home inspector and pointed out a couple things he missed. When we emerged from the crawlspace, he offered me a job with his company. As always, I’ve deeply grateful for every prayer, every loving word, and every kind comment. * “Mortimer” was not his real name. To read Part I (”Housing Rosemary”), click here. Part II is here. And I could always buy a lighthouse for $15,000! Today, I was looking at a neighborhood in Chesapeake, Virginia that was once populated with 1950s houses and vast expanses of farmland. Today, it's awash in these less-than-aesthetically pleasing McMansions, which are priced at $350,000 and up. Not my cup of tea. 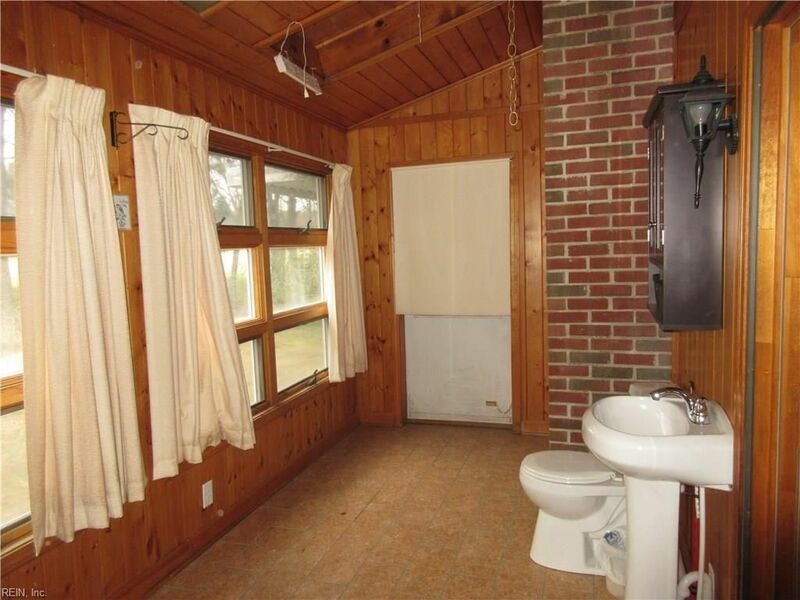 In my house-hunting travels, I've seen some goofy things, such as this random toilet on a sunporch. Whenever I see a house with a heavy-duty cage around the a/c compressor, I know I'm in the wrong neighborhood. And I think that three deadbolts on the door is another sign. This house is in Portsmouth, Virginia. We're running out of room in this 1,500-square-foot rental. The newest addition (the big'un) is "Cocoa Puffs." I've looked at homes throughout Hampton Roads and points west, but every now and then, I've dreamt of grabbing my passport and fleeing the country. The image above is courtesy Clyde Nordan of Clyde Nordan Photography in Portsmouth, Virginia. 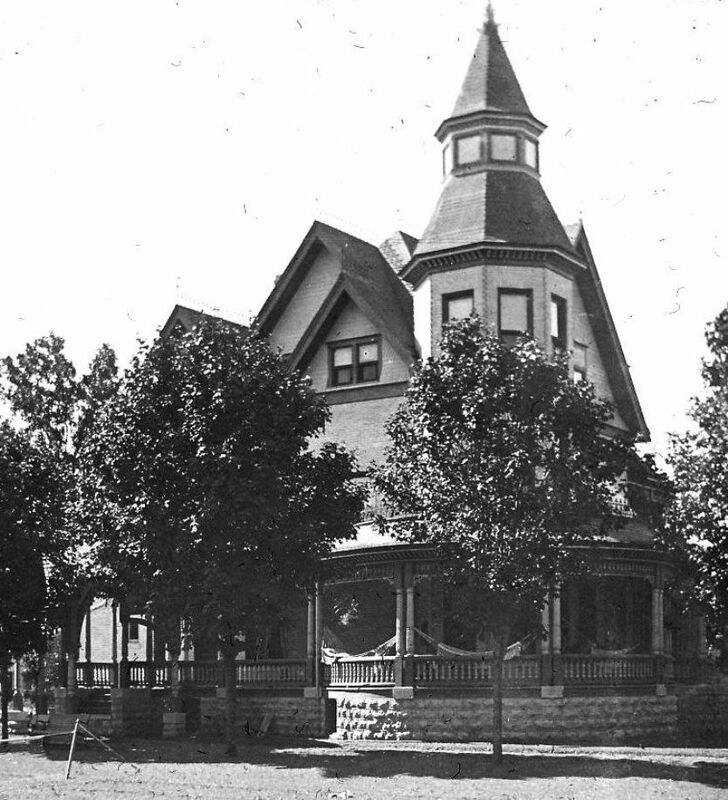 The First Sears House? Nope. This Sears Westly is at the corner of Winchester and King Street (Westhaven section). This house was featured on WVEC-TV several years ago (about 2004). 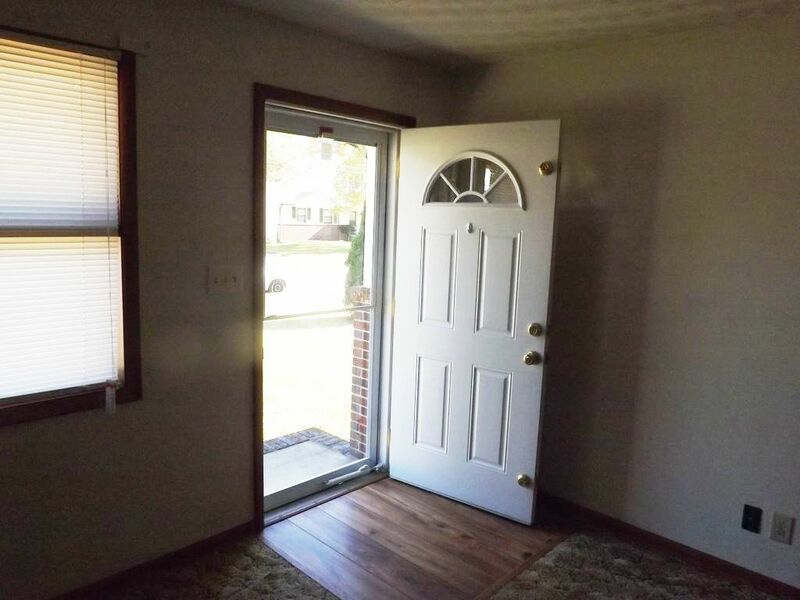 It's been sold and remodeled and sold and remodeled a few times. Most likely, it was built in the mid-to-late 1910s. 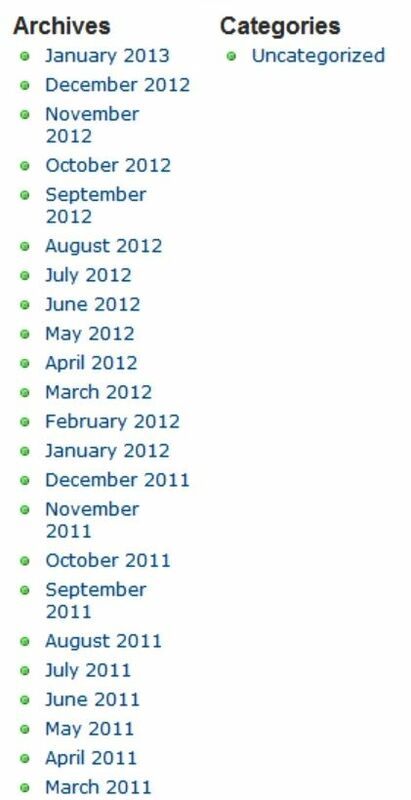 Since August 2010, I’ve written almost 700 blogs. That’s a lot of blogs. Each blog has three or more photos. That’s thousands of photos. Some of these blogs took several hours to compose, and then get bumped off the page within a week of their creation. So I’m posting a few of my favorite blogs below. If you’ve enjoyed this site, please leave a comment below. I’d love to hear from you. 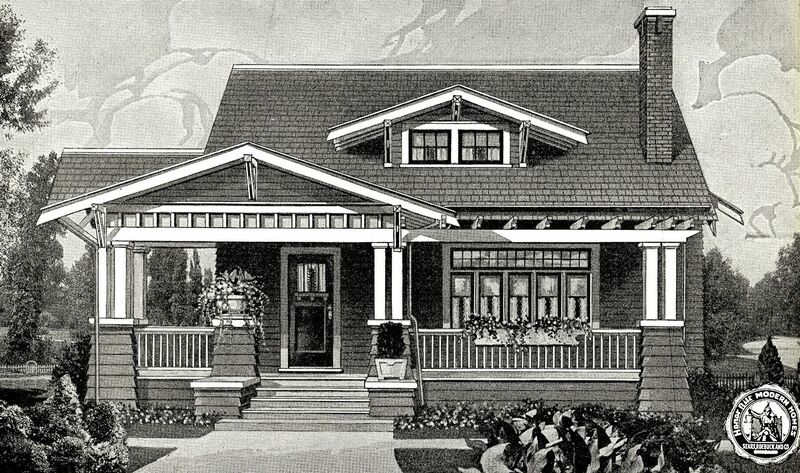 The Sears Corona has always been one of my favorite houses (1921). A perfect Sears Corona in Gillespie, Illinois. Last year, I wrote a blog about the San Jose. I’ve never seen one, but this was Rebecca’s find. Awesome house. Click here. This blog was devoted to Alhambras, and had pictures of my favorite Alhambras of all time. 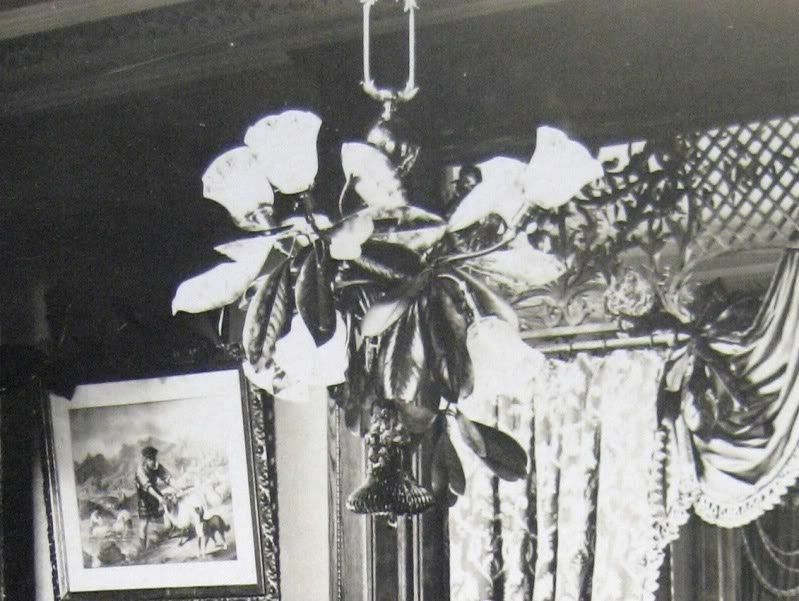 The Magnolia is my favorite house, and this blog has photos of all six Magnolias that are in existence today. In this blog (also picture heavy) I provided lots of info on how to identify a Magnolia. And this features a story from a 92-year-old man that built a Magnolia in the 1920s. 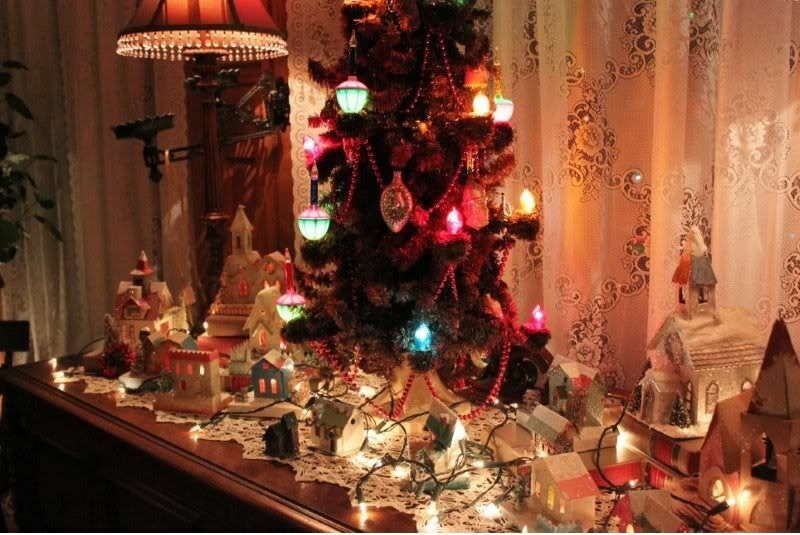 This blog was created from photos sent in by Pat, an Ohio resident. LOTS of Sears Homes in Ohio! West Virginia is one of my favorite places in all the world, and Lewisburg is loaded with Sears Homes. Click here to see many fun photos. And if you have about 10 hours to spare, click here to read the story of my Aunt Addie’s apparent murder. Let me warn you, her story is addictive! You can’t read just one link!! Click here to read about her exhumation, and let me tell, that’s quite a story too! Really awesome photos of Carlinville, IL (which has 150 Sears Homes) can be seen here. This is one of the MOST popular blogs at this site. It’s picture-heavy tour of my old house in Colonial Place. We sold it a couple years ago, and yet this blog is a perennial favorite. Another perennial favorite is the story of how we redid our bathroom in the old house. Came out beautiful, but what a project! 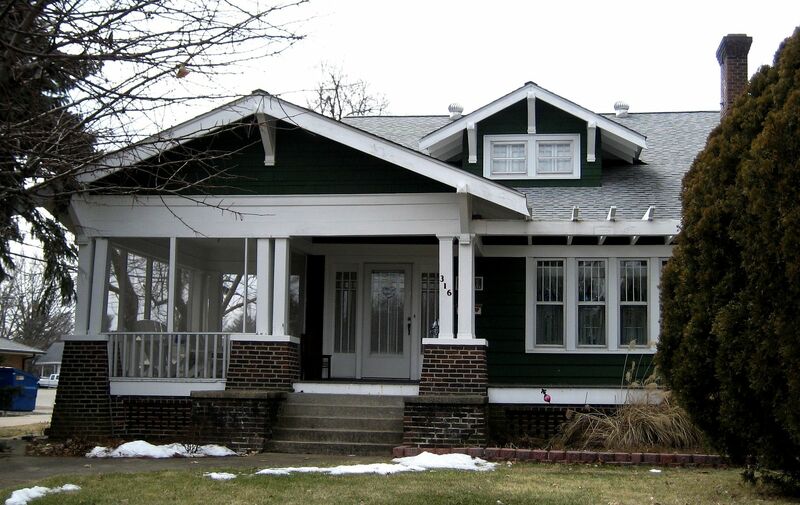 Here’s a detailed blog on one of Sears most popular homes: The Vallonia. 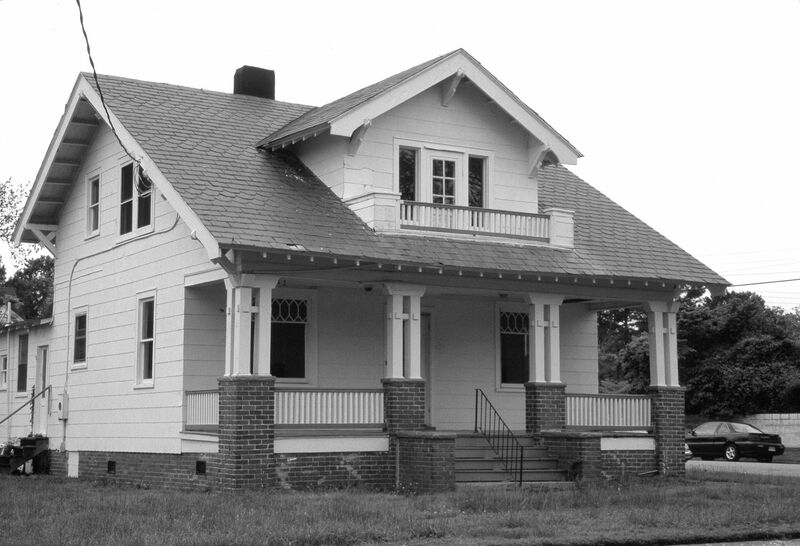 This was another fascinating historical research project: Penniman - Virginia’s Ghost Town. Wow, what a story that turned out to be! Those are just a few of my favorites. If you want to read more, look to the right of the page and you’ll see this (shown below). Click on any one of those months to navigate through the older blogs. Click on this column (to the right) and you'll find the rest of those 680 blogs! Thanks for reading the blog, and please leave a comment below! 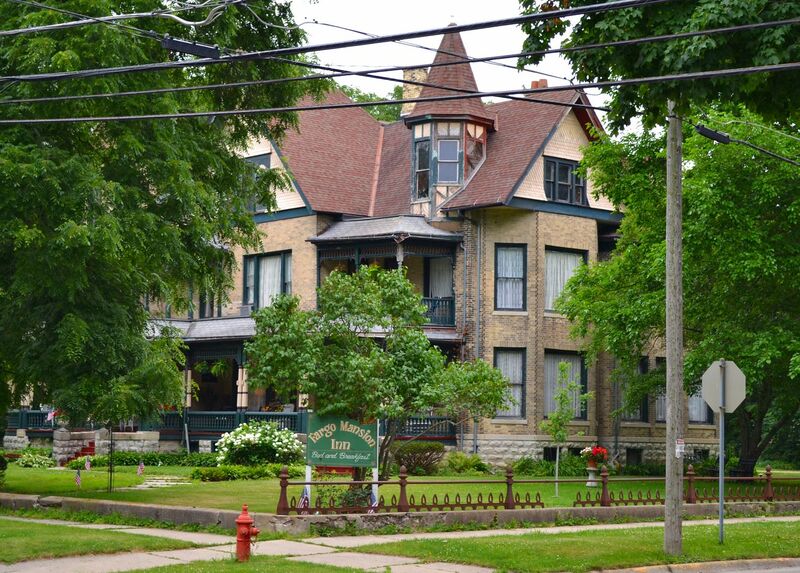 It’s been about a year since I last stayed at the Fargo Mansion Inn in Lake Mills, Wisconsin but the many fond memories of that visit still remain. Many folks in that small, picturesque village showed me so many kindnesses. 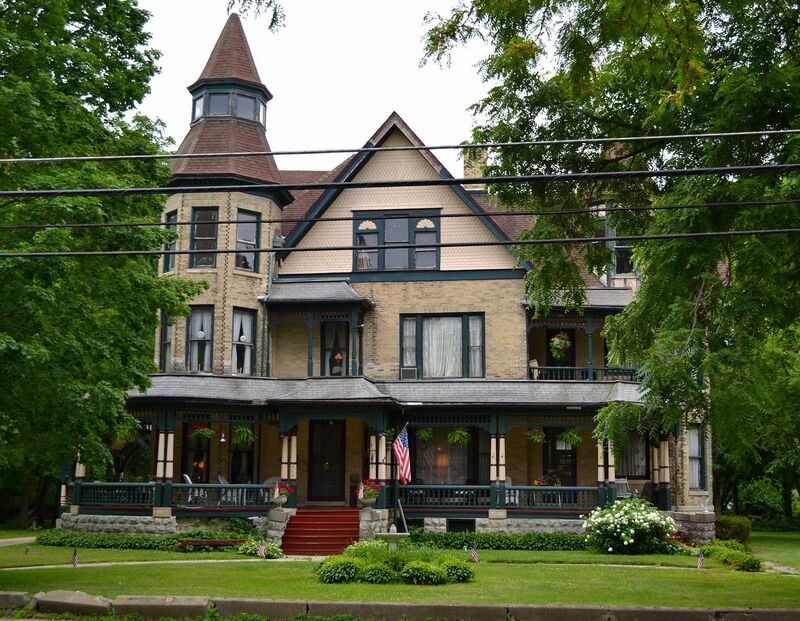 And two of the kindest, most sincere people I met during that trip were Tom Boycks and Barry Luce, owners of the Fargo Mansion Inn. 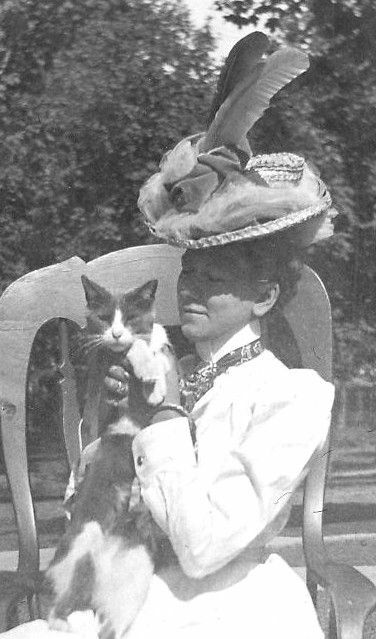 Were it not for these two, the 7,500-square foot Queen Anne mansion would have been reduced to several tons of construction debris at the county landfill. It was slated for demolition when they stepped in and bought it, sans heat, plumbing and electricity. 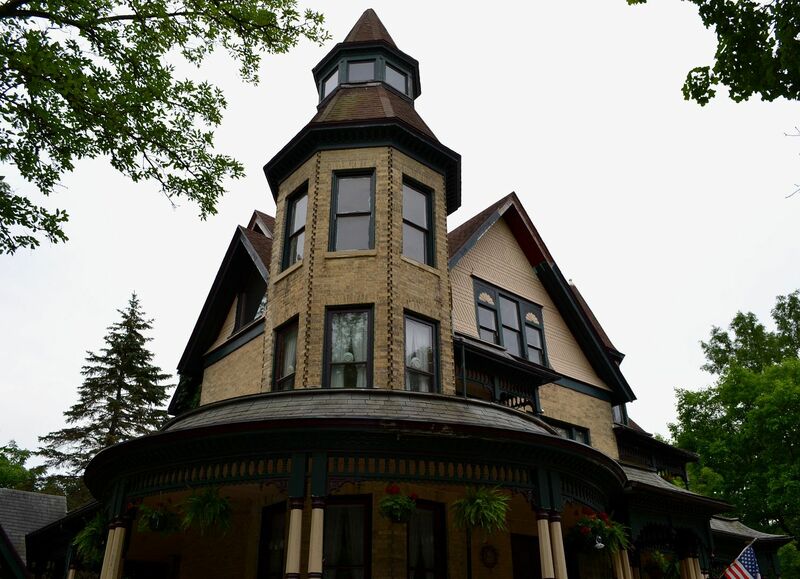 It’s been 25 years since those two saved this house, and today, it’s hard to imagine what Lake Mills would look like without this most impressive manse. Since purchasing the solid-brick, 112-year-old house, Barry and Tom have poured their heart and soul (and a lot of money) into a thoughtful and thorough restoration. 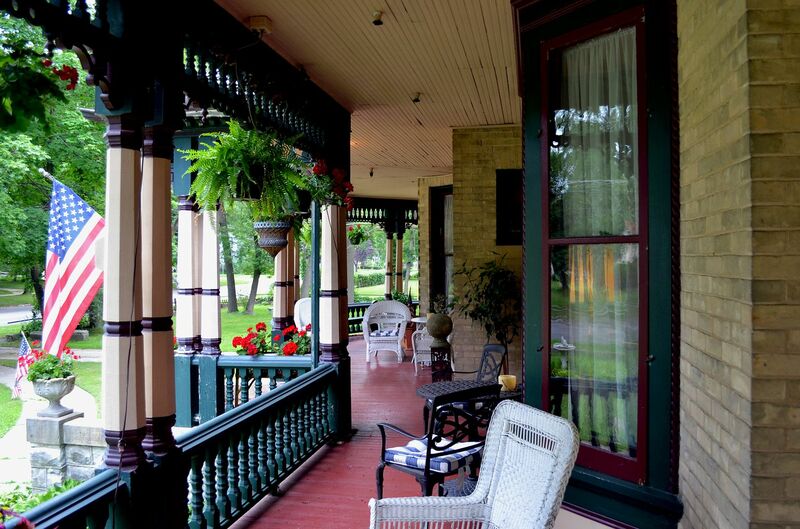 Visiting this house should be high on your “bucket list.” To make a reservation, click here. Wilbur was my great-grandfather, but who was Addie Hoyt Fargo? Well, that’s a long story. To learn more about Addie Hoyt, click here. 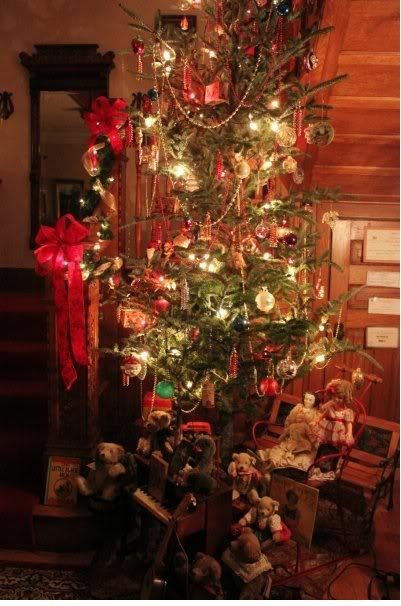 To read about Addie’s special Christmas present to Wilbur in 1900, click here. 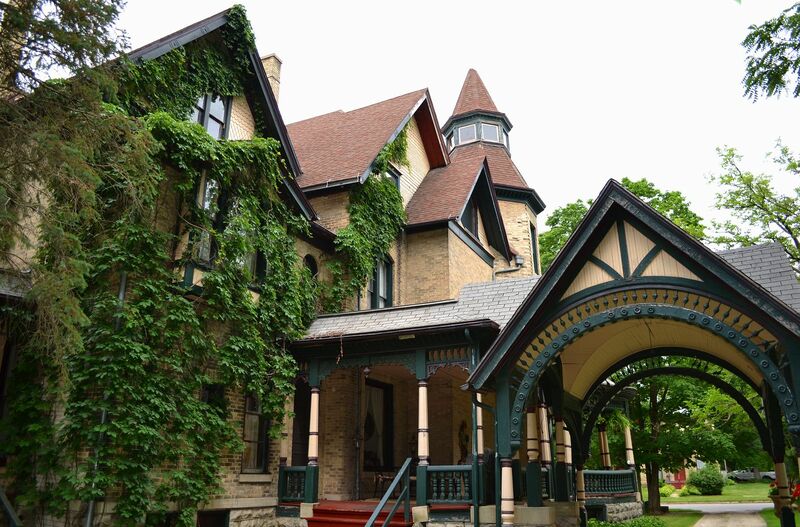 To reserve a room at the Fargo Mansion (and see more gorgeous photos), click here. 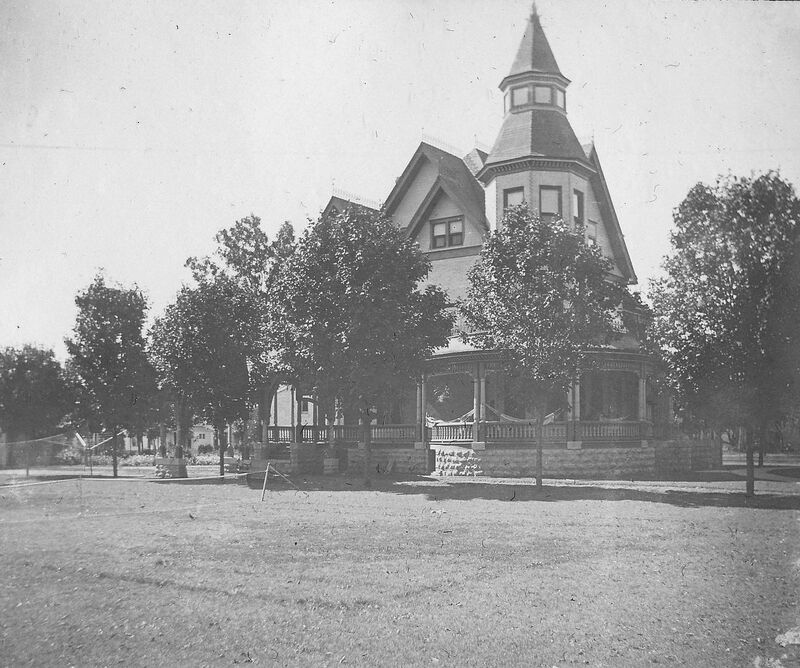 Addie's house as it appeared in 1896, soon after a major remodeling. 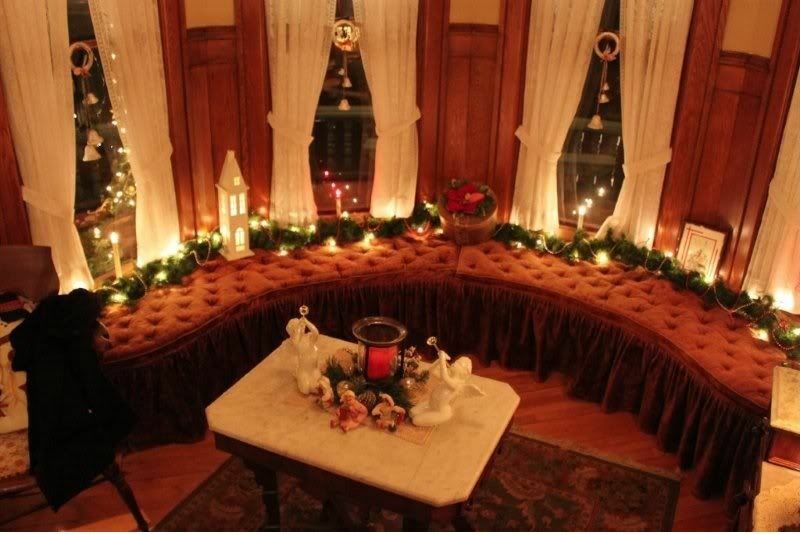 Addie also did a fine job of decorating, back in 1896. 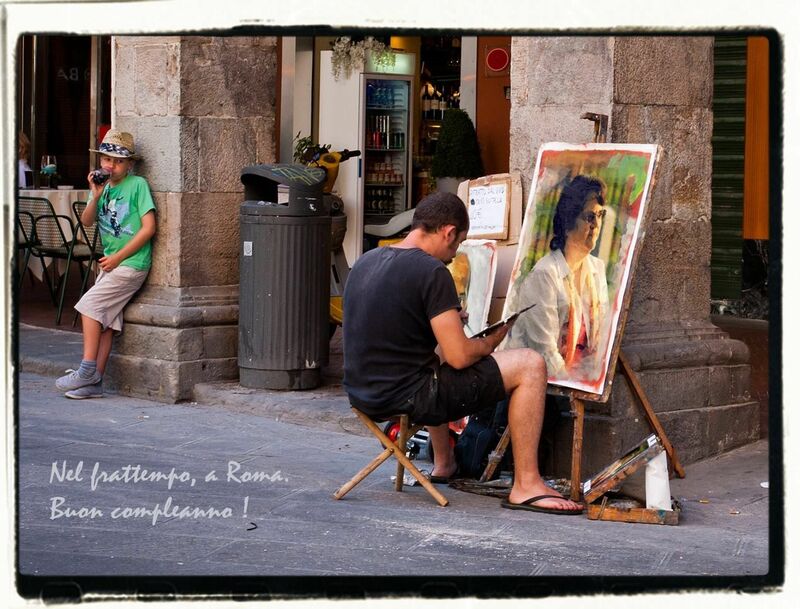 This photo faces the same corner as the contemporary photo shown above. 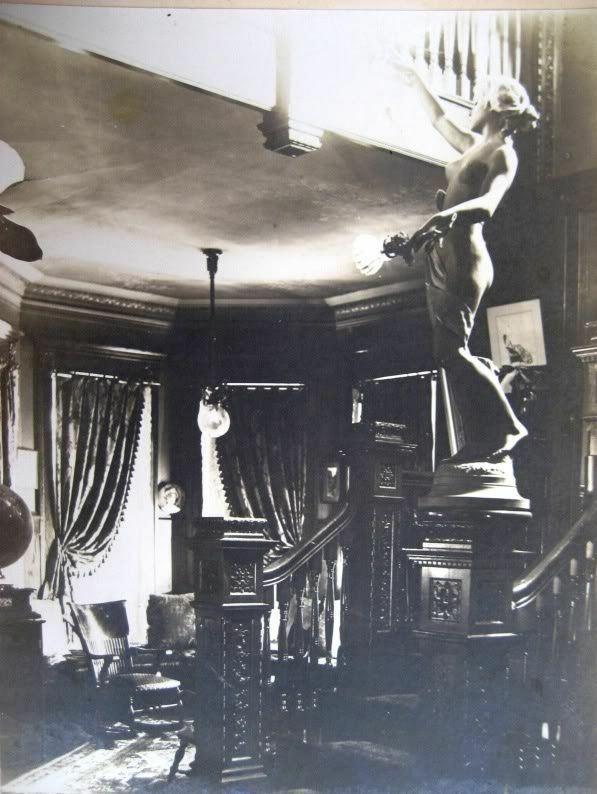 Sadly, that newel post light ("Our Lady of the Naked Light") disappeared in the intervening decades. Addie loved her house, too. In the background, you can see that massive staircase and reception hall. 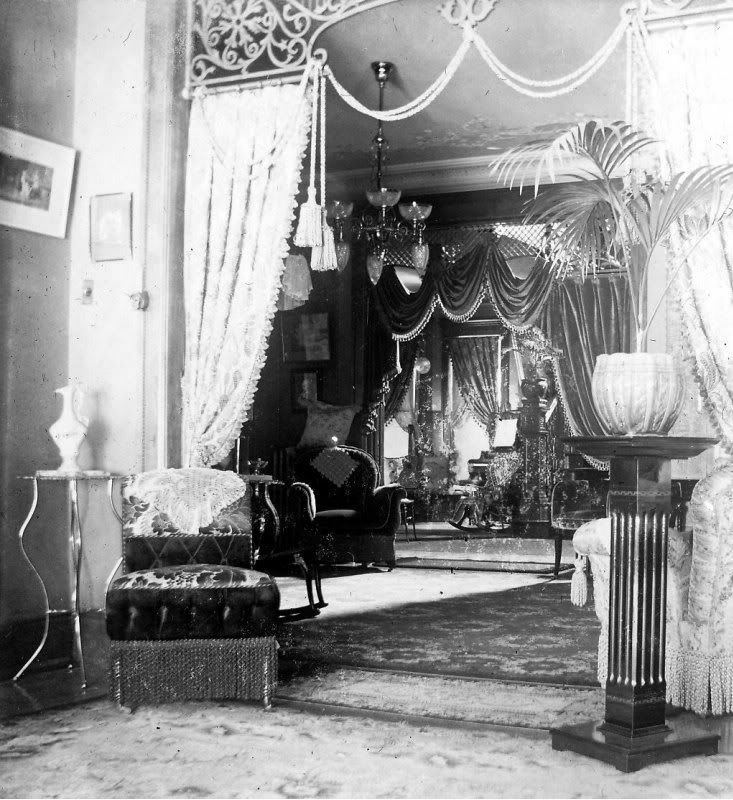 Look at the fretwork and heavy curtains over the doorways. Notice the magnolia leaves on the Electrolier! When my father died in June 2011, I found this photo album buried in an old nightstand. 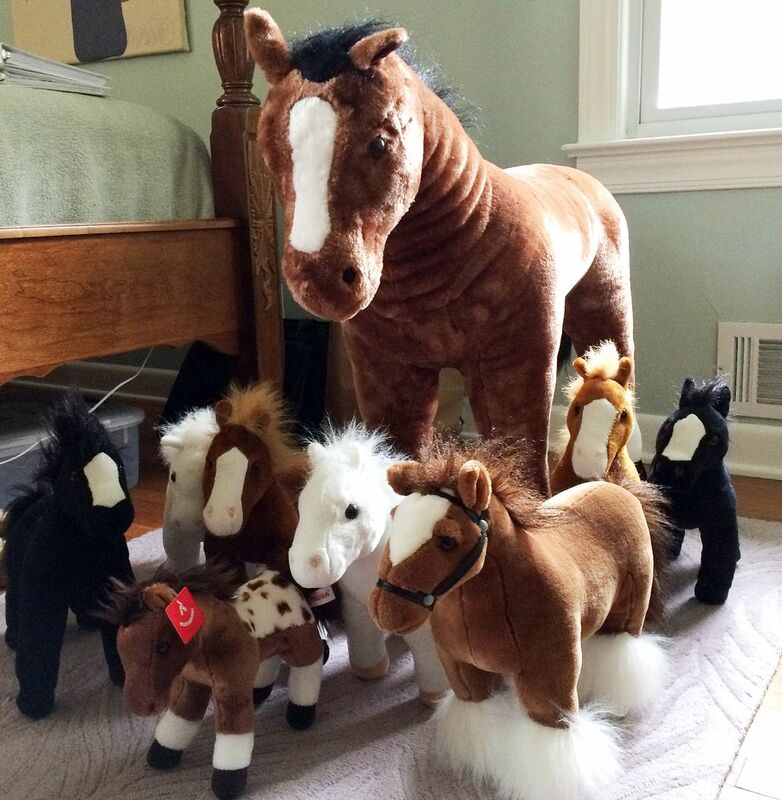 Apparently Addie gave this to her brother-in-law Wilbur Whitmore for a Christmas gift. Here's a picture of Addie with her older sister, Anna. 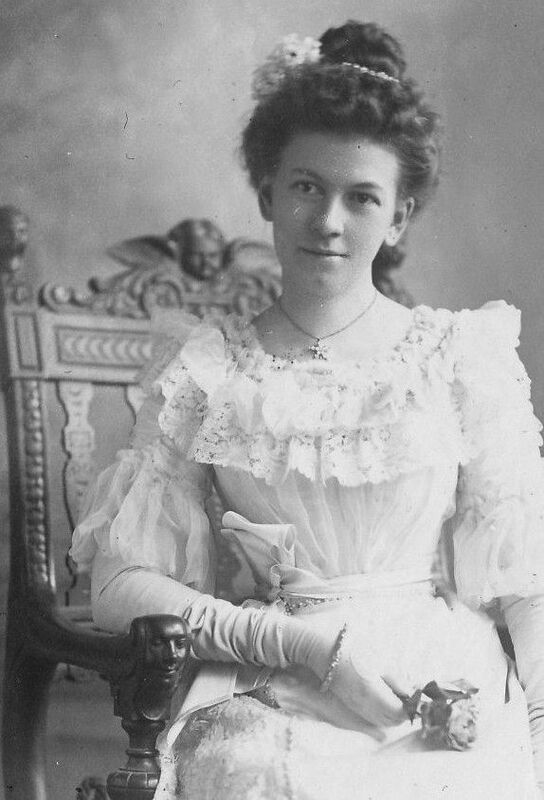 Anna (born 1866) married Wilbur and moved to Denver. 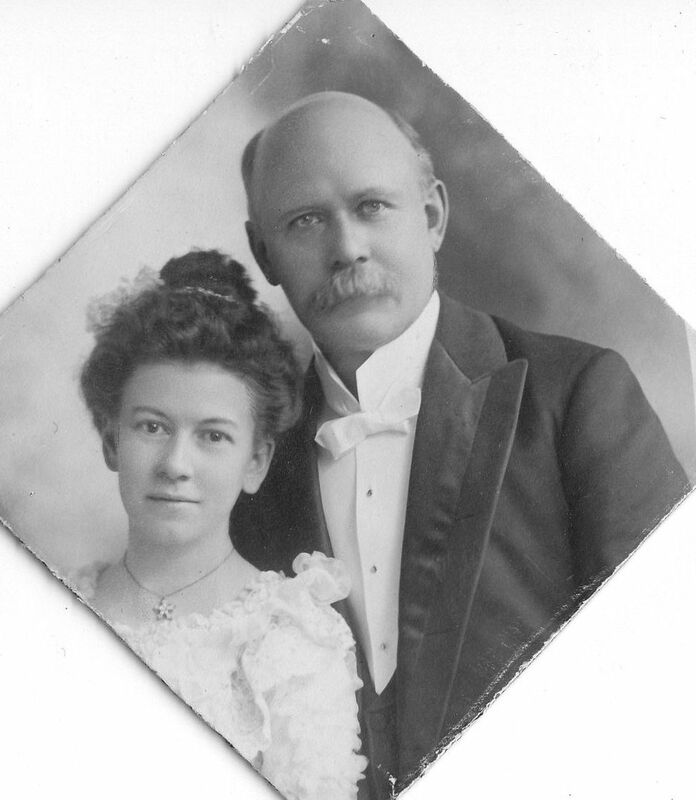 Wilbur and Anna's families were both from Lake Mills and they're my great-grandparents. 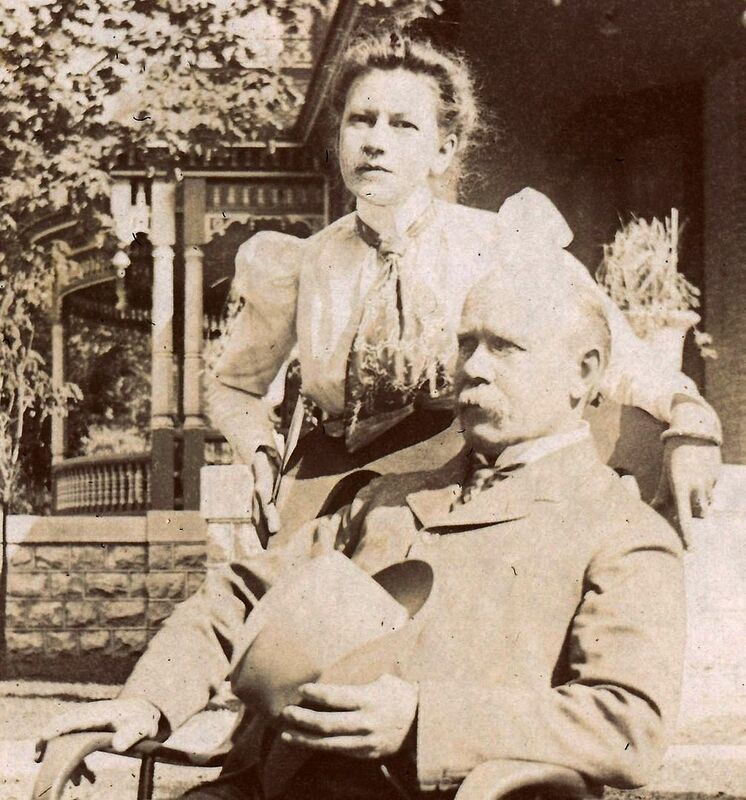 Wilbur and Anna about the time of their engagement (late 1880s). To learn more about the Hoyts, click here. It was a holy, spiritual moment that I will never forget. To read more about Thomas H. Fuller, click here. 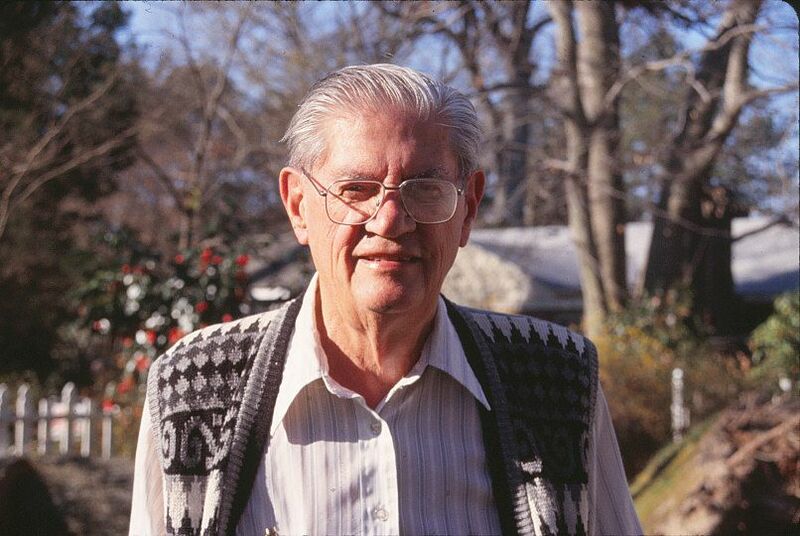 My father in 2003, in Portsmouth, Virginia. He was 84 years old here. 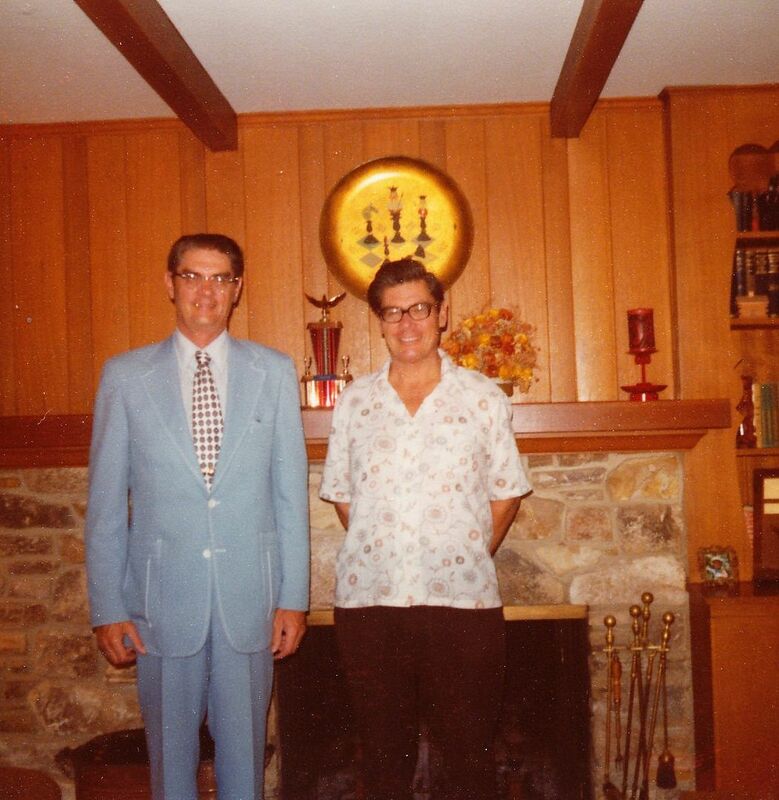 About 1977, shown with his twin brother, Ed. 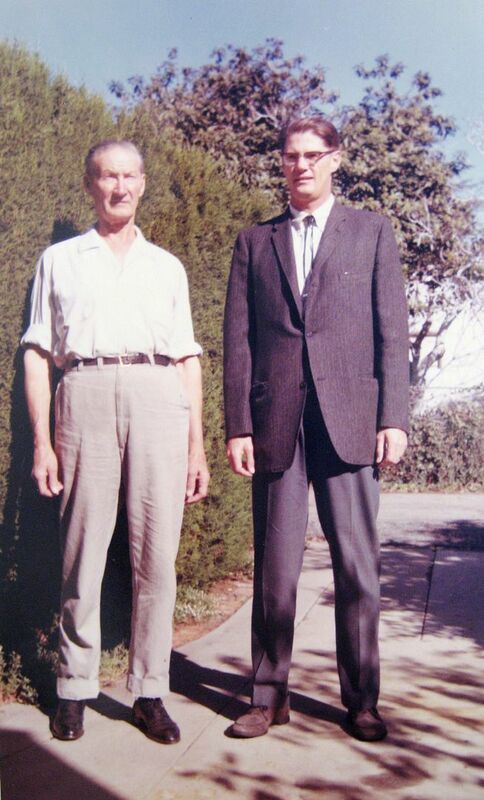 My father shown here with his father, Edgar A. Fuller. 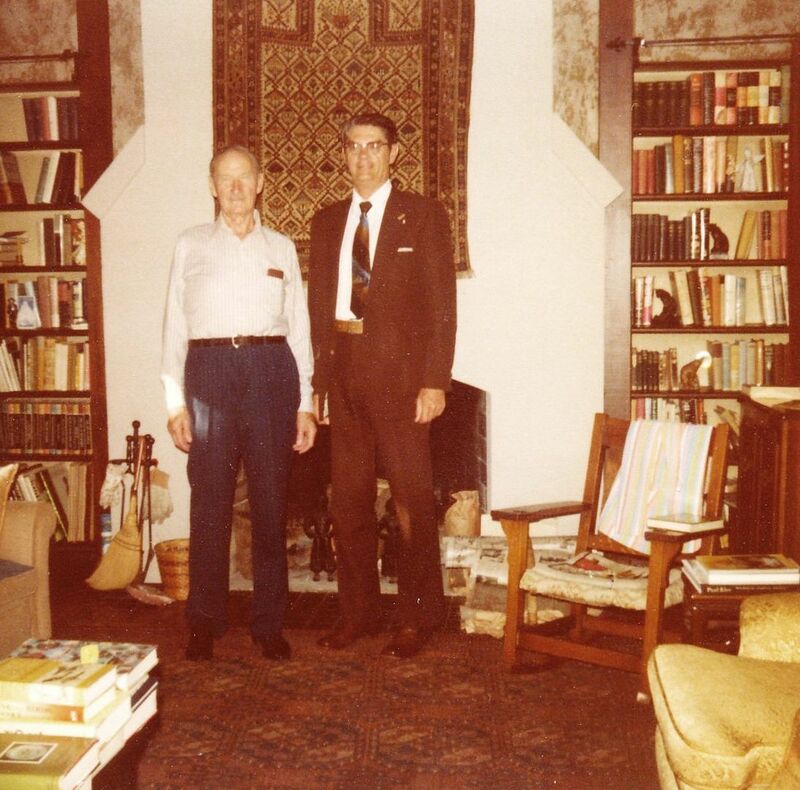 This picture was taken inside Edgar's home on 14th Street in Santa Monica (about 1977). 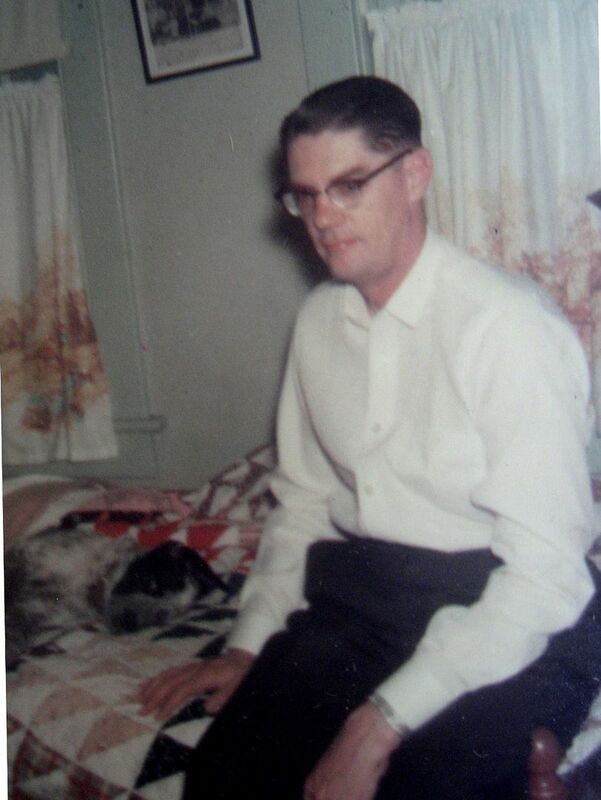 Dad sits on the edge of Eddie's bed, trying not to upset the dog (about 1971). 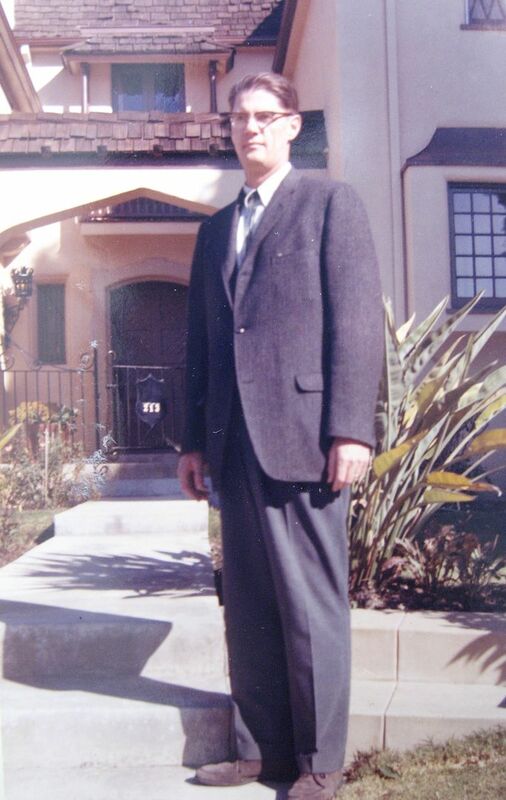 Mid-1960s, my father in Santa Monica, in front of his childhood home at 213 14th Street. My father loved California. 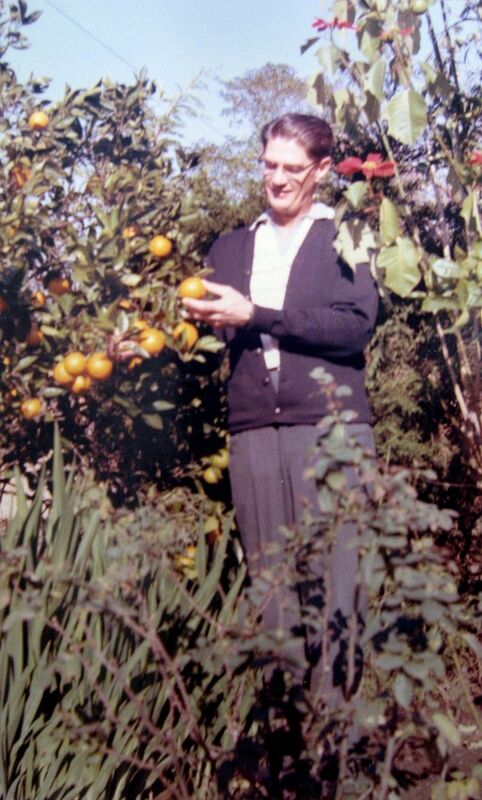 He's admiring the oranges in his parent's back yard. 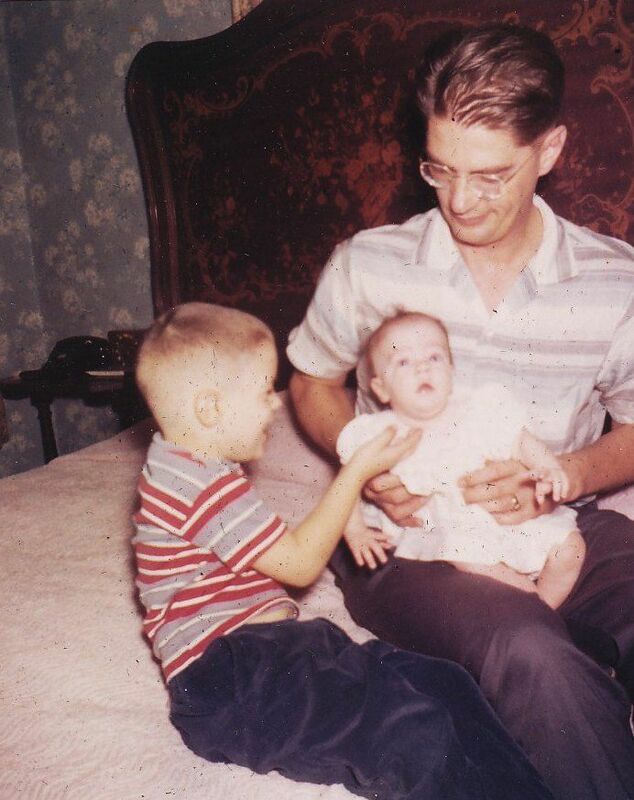 My father with this father in 1966. 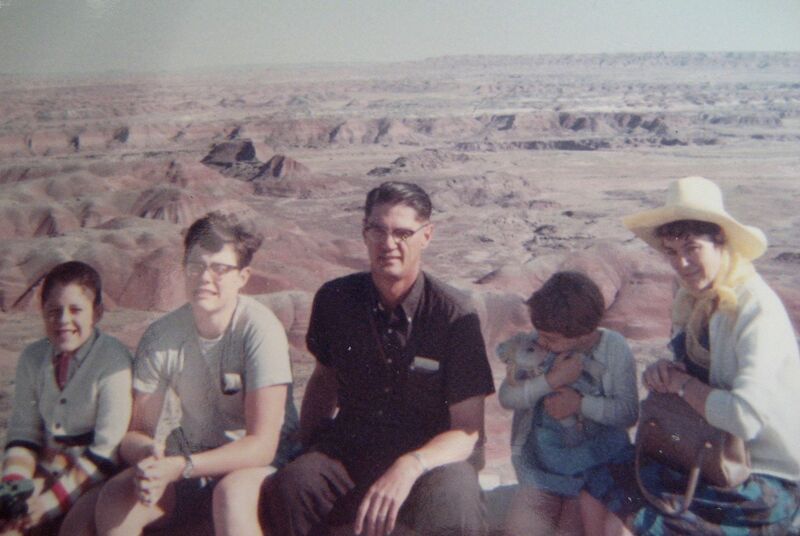 Our family in 1966, enroute to California from Portsmouth, Virginia. My father purchased a "new" car for the trip, a 1957 Cadillac. We made the 3,000-mile trek in seven days. 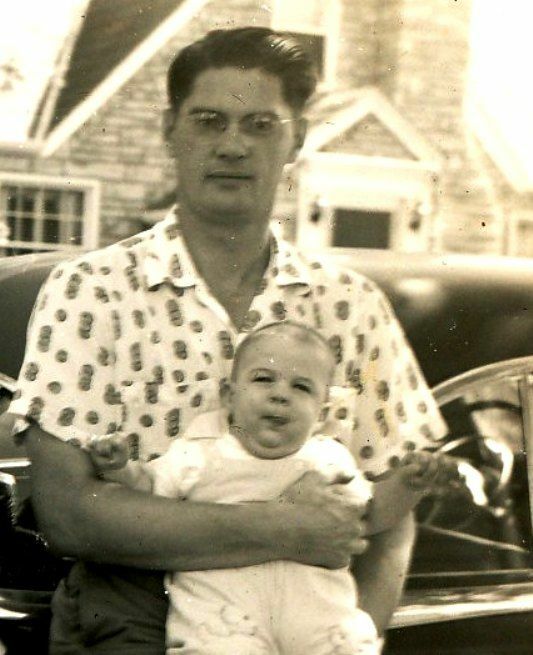 My father holding his newest offspring in Summer 1959. BTW, that's me in his lap and my brother Tom sitting beside us. 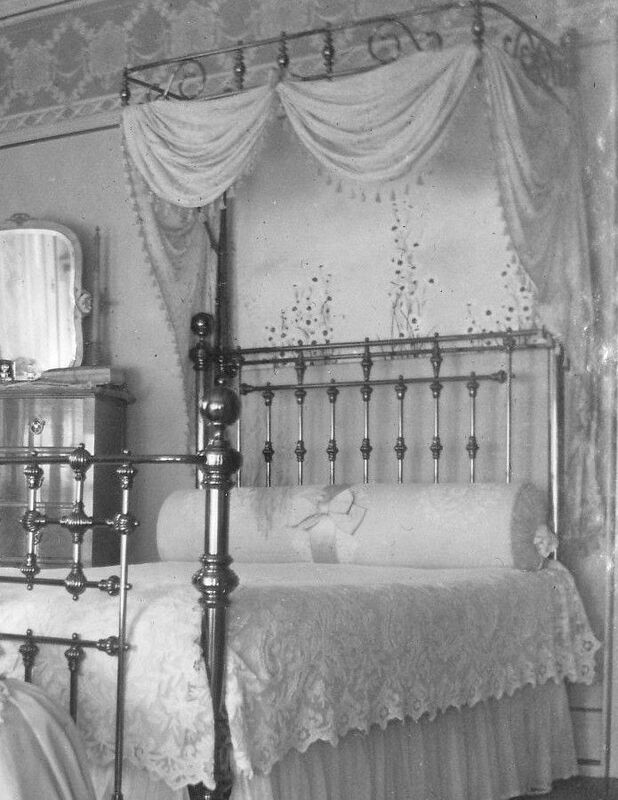 The beautiful bed in the photo had been my father's bed since 1935. It was made in the 1890s and had been an Exhibition Piece at the 1894 World's Fair. My father was always very photogenic. 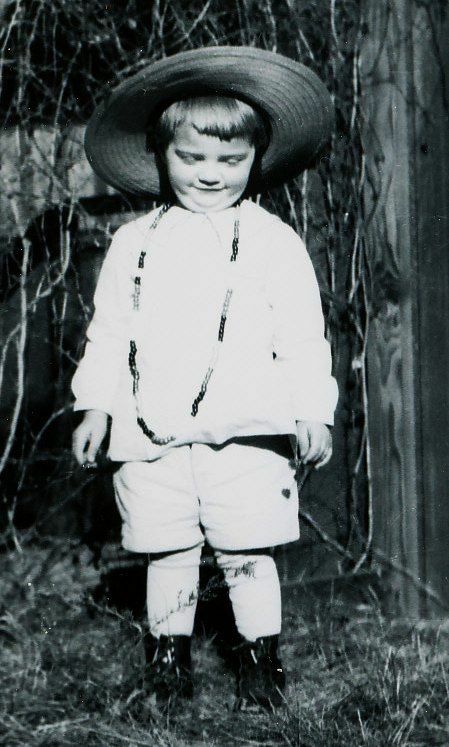 I always had a very large forehead that caught the camera's glare (about 1960). 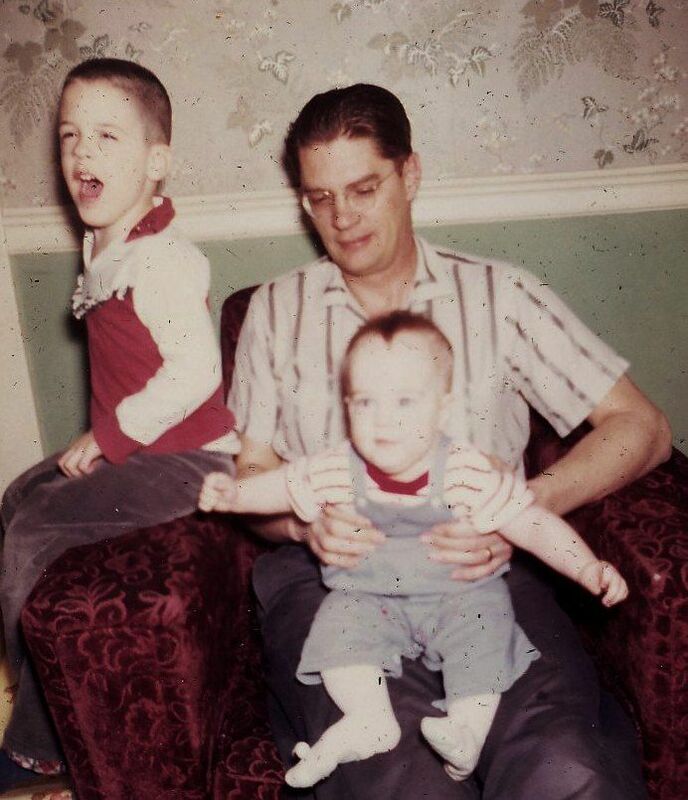 Ed and Father, in 1956. They lived in Shea Terrace (Portsmouth) at the time. Check out the 1953 Pontiac in the background. 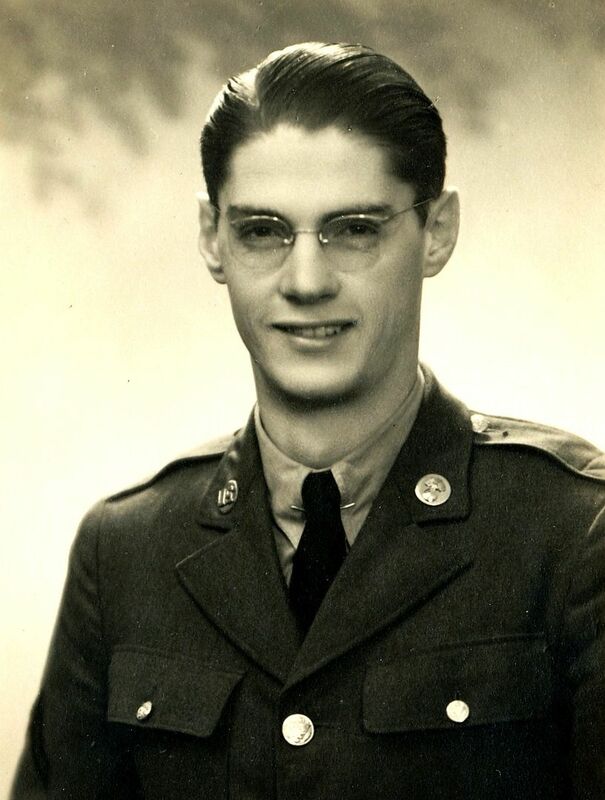 My father was a WW2 Army Veteran. This photo was the early 1940s. 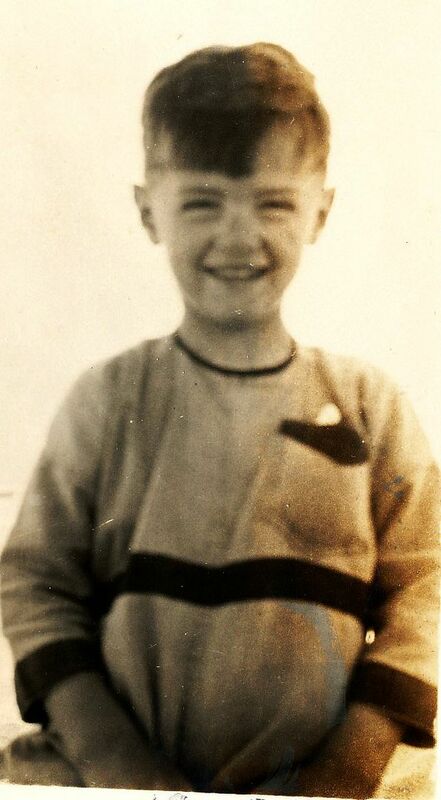 My father at age six. In the mid-1990s, I visited my father's home and a friend of his answered the door. As I stood on the stoop, she stared at me - slackjawed - and didn't move. Finally, I started to push past her while asking, "Everything okay?" She replied, "I ain't never seen a daughter who looked so much like her father. You look just like him." A little disconcerting for a 30-something woman to be told she's the twin of her 70-something father. And yet, this photo of my father from 1922 really showcases that. This could have been a photo of me. My father and his twin brother in 1919. My grandmother captioned this photo with "Whenever Junior (right side) and Thomas (left) are together, Junior reaches out and takes Thomas' little hand." It was this photo that enabled me to forgive my father. Seeing his innate, God-given child-like innocence opened "the eyes of my eyes" and healed my heart. My father in 2007, at my wedding. He was 87 years old. Photo is copyright Dave Chance and can not be used without written permission. As I told my father in the last days of his life, he was not always part of my life, but I never stopped loving him. To read more about “Innocence Rediscovered,” click here. 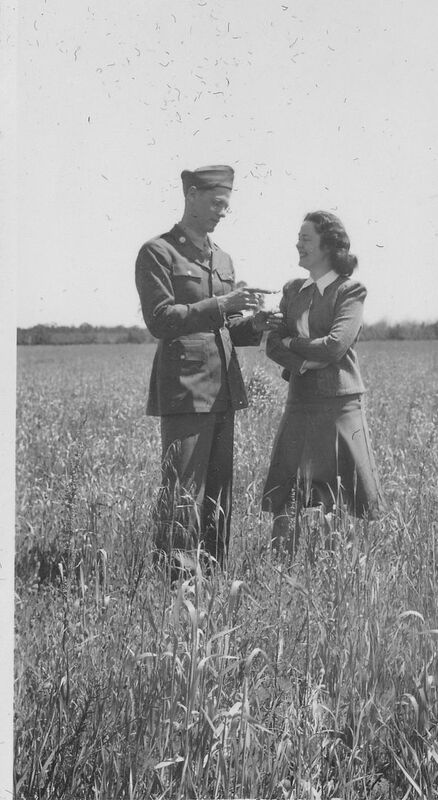 My mother was in her 70s when she told me - in detail - about her memories of World War II. She said that her generation was called “The Lost Generation,” because they moved from adolescence to adulthood in one leap on December 7, 1941. She said they went from being fun-loving teenagers to battle-scarred, hardened, old people in a short span of time. Their “youth” was wholly bypassed, due to those hard, lean war years. They were “kids” that watched as countless numbers of their high school classmates marched off to war, and came back dead or disabled. They were “kids” that sacrificed food and clothing and simple joys for scrap drives, in the hopes that it would help with the war effort. They were “kids” that worried and wondered if Hitler - who seemed unstoppable - would make his way across Europe and eventually conquer this nation, as well. They were “kids” who proudly marched down to recruitment centers en masse on December 7th and 8th, sometimes waiting in line for hours to join the armed services. They were ready, even eager, to lay their life on the line, so that this country’s way of life would be protected, and they were true American heroes. And that’s the real story of December 7th, and the reason we - as Americans - should always remember and honor this day, because of the young Americans that were ready and willing to sacrifice their lives. Theirs was the most unselfish of acts, and that’s what we should remember and commemorate. Both my mother and father were two of those “kids” who signed up to serve in the fight against Hitler and Hirohito. My father was 22 and my mother was 21 years old. It’s because of them, and people like them, that we’ve had more than six decades of peace in America. 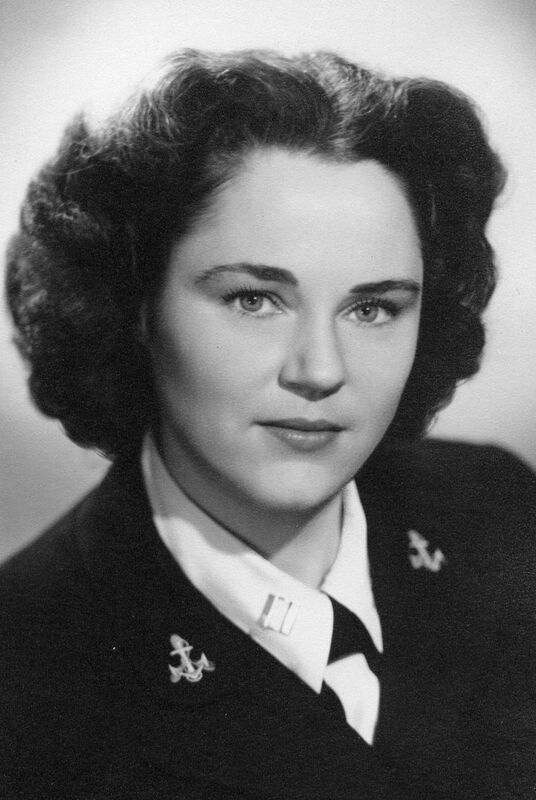 Mom was a lieutenant in the Waves, and worked in Oakland. My father was a private in the Army. He served an an MP in France. 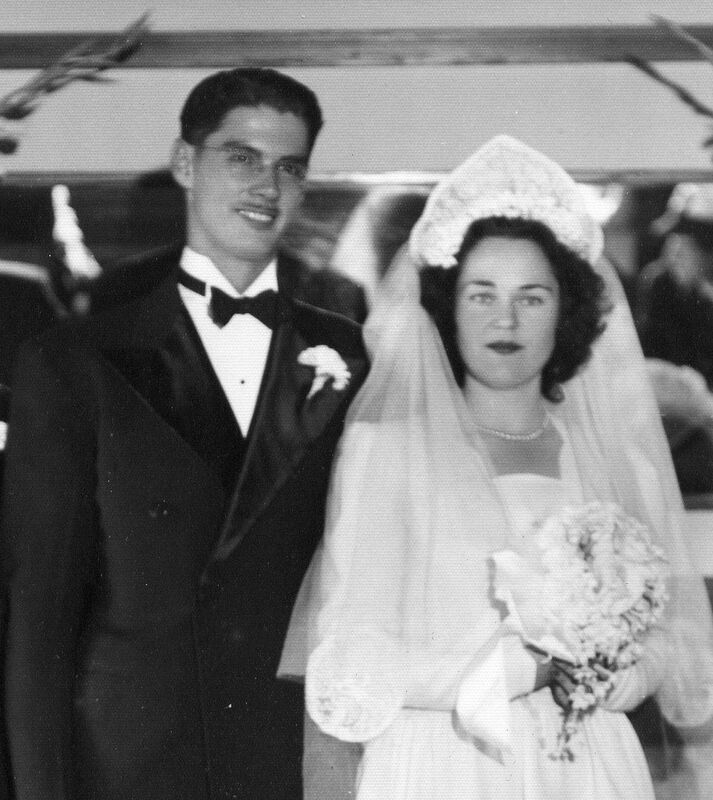 They were married on June 23, 1947, and had four children. Their youngest child (that'd be me) was born on the fourth of July. They were a very patriotic couple! Who is Addie to Me? When I gave my talk in Lake Mills on September 4th, I explained that I didn’t even know I had an Aunt Addie until my father died in June 2011. While I was cleaning out his apartment, I found two photo albums in beautiful condition from the late 1890s. One photo was marked with this inscription: Enoch and Addie Hoyt Fargo on their wedding day, 1896. After the dust settled from my father’s funeral, I sent an email to my friend David Spriggs and asked for his help in solving this mystery. Within a few hours, he’d figured it out. So, how am I related to Addie? In my genetic history, we have an amazingly strong trait known by some as the “pack rat” trait. 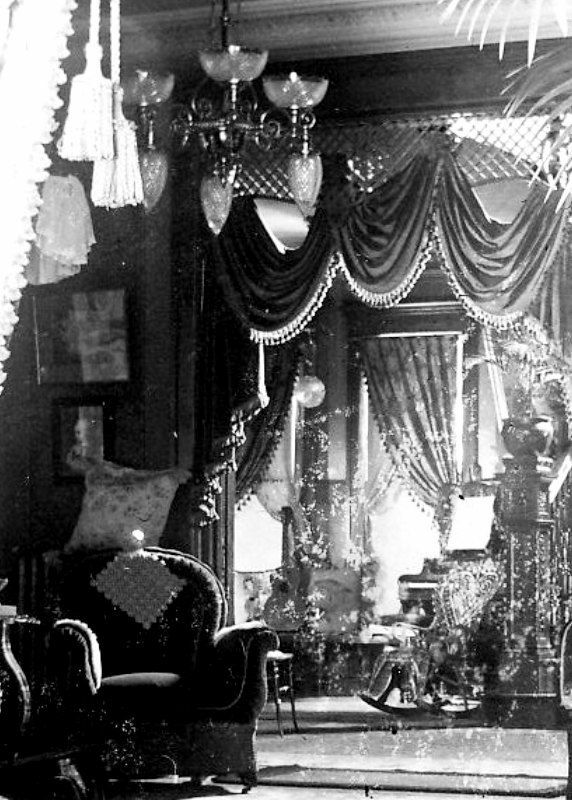 And while I’m personally a big fan of the anti-clutter club, I have to say, I’m very grateful that for 150 years, my family has been hanging onto these photos. 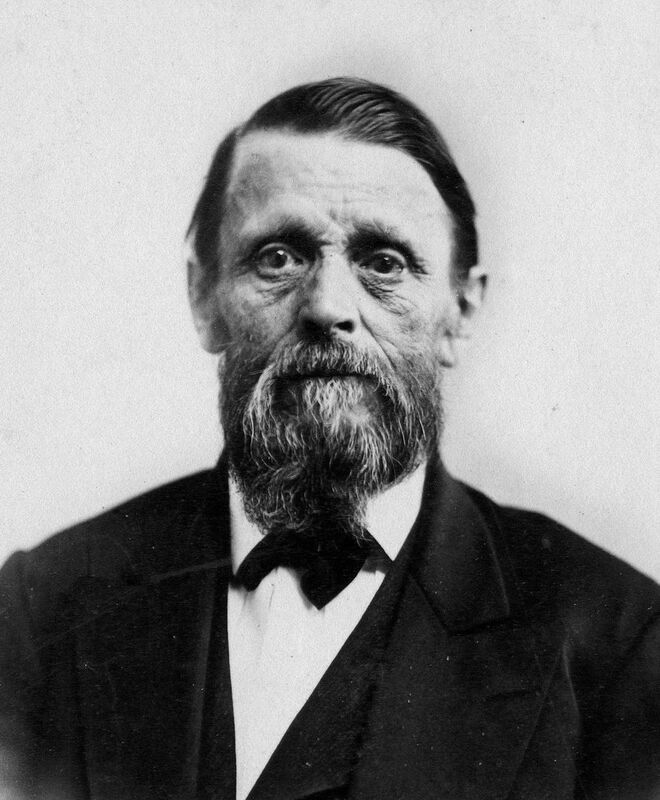 Addie's maternal grandfather: Captain Hezekiah Beech Hawley in 1874. According to family lore, he was a salty sea captain, and he surely does look the part. 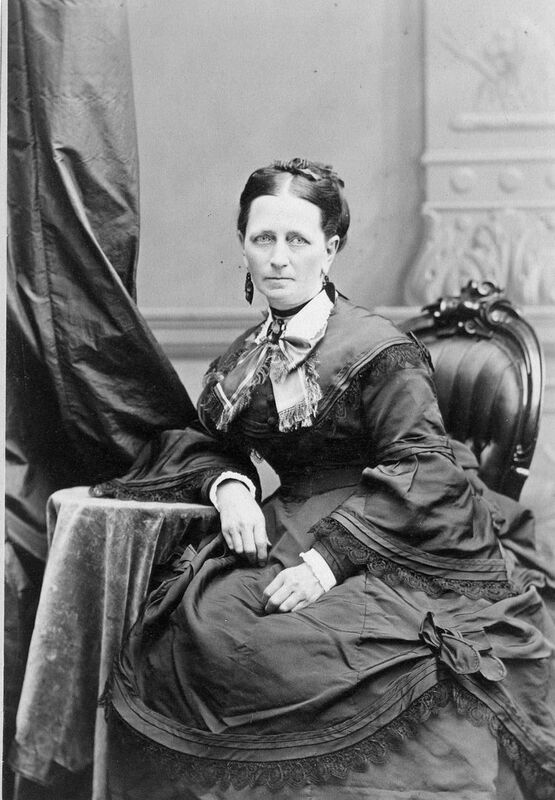 And here's a picture of the captain's wife, Teresa Hathaway Hawley (also 1874). This would have been Addie's grandmother on her mother's side. Homer Hoyt was Addie's father, and he was my great-great grandfather. 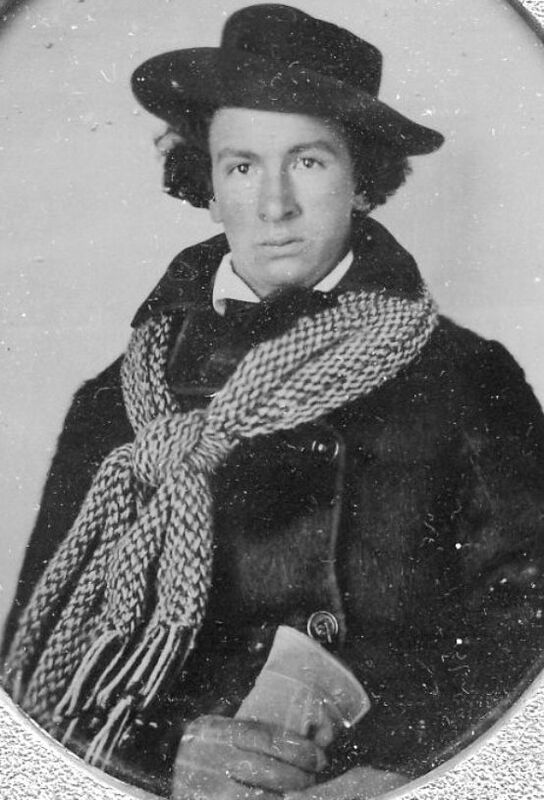 He's pictured here at age 17 (about 1858). 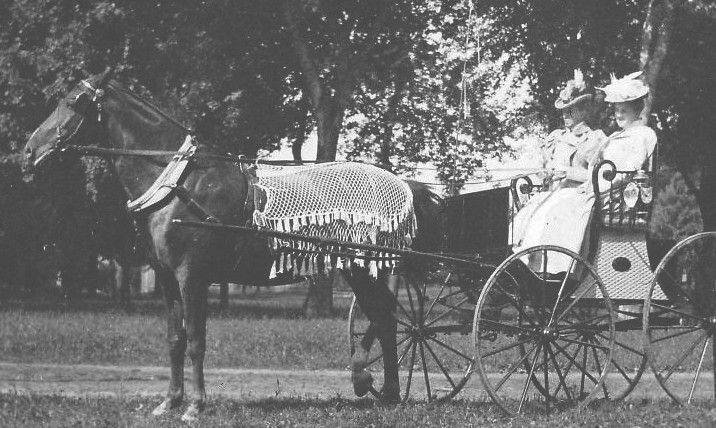 Homer was from Vermont, but by the early 1860s, Homer had moved to Lake Mills, where he met Julia Hawley. They were married about 1864. 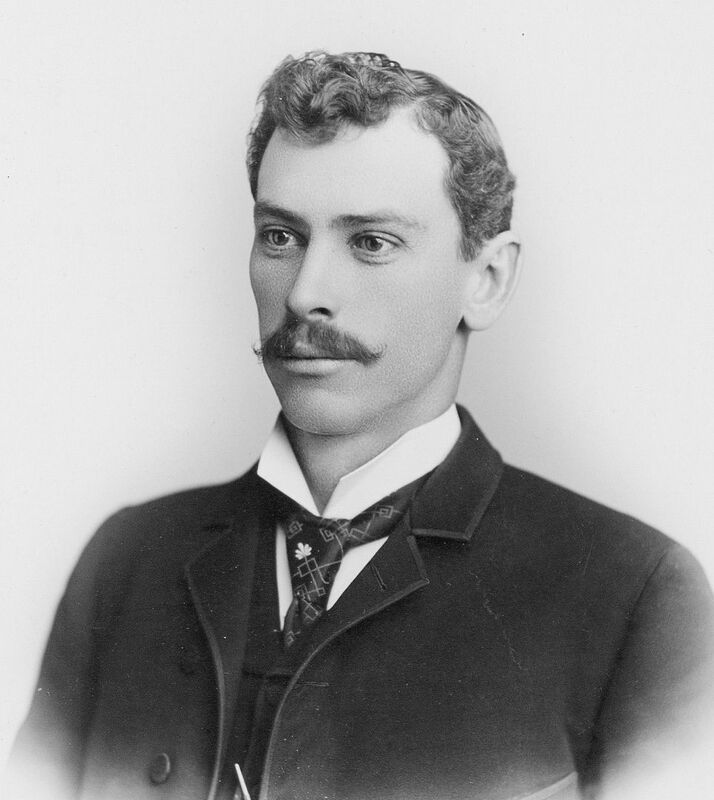 Homer Hoyt in 1888. He would have been about 47 years old here. Homer died in 1894 at the age of 53. He's buried in Washington State, but has a memorial marker in the Lake Mills cemetery. Note the masonic emblem around his neck. 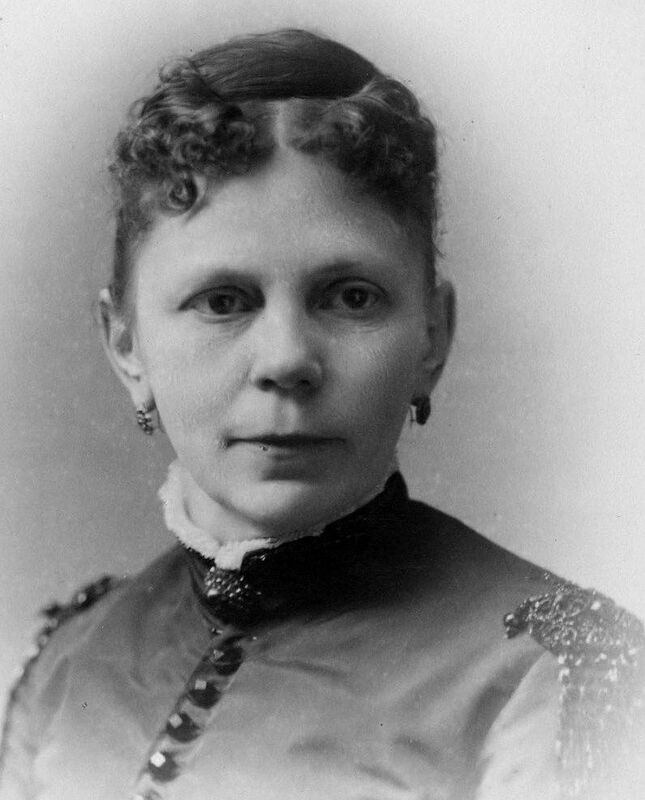 Julia Hawley Hoyt in 1888. She was Addie's mother. Homer (pictured above) and Julia had three children: Anna, Addie and Eugene. Julia died a few months after Homer, in January 1895. Addie married Enoch 13 months after her mother's death. 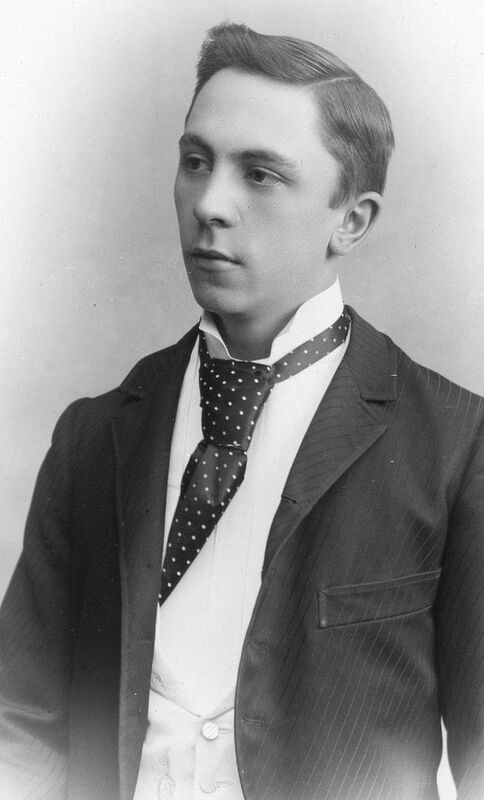 Eugene was the baby of the family and was born in 1875. He never married and never had children. He lived in Lake Mills for a time (in his adulthood), but after Addie's death, he left the area. He became an itinerant machinist and traveled around the Midwest looking for work. That's a surprise actually, because this guy doesn't look like an itinerant machinist. Eugene looks like someone who became a fancy tailor or a French chef. Nice tie. My great-grandmother (right) was Anna Hoyt Whitmore. She's pictured here with her sister, Addie (Ada) Hoyt. 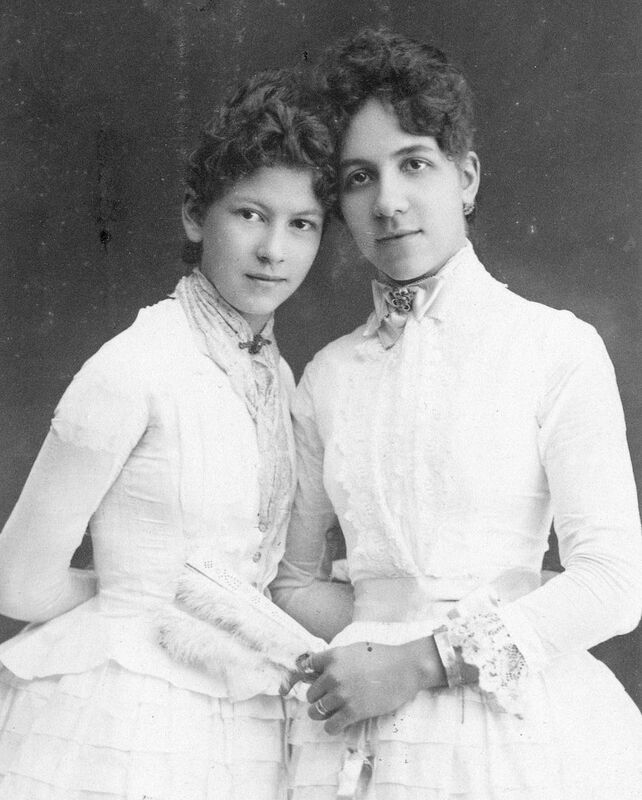 Addie (born January 22, 1872) would have been about 15 in this photo and Anna (born December 1, 1866) would have been 21. Anna lived to be 99 years old. Addie did not. 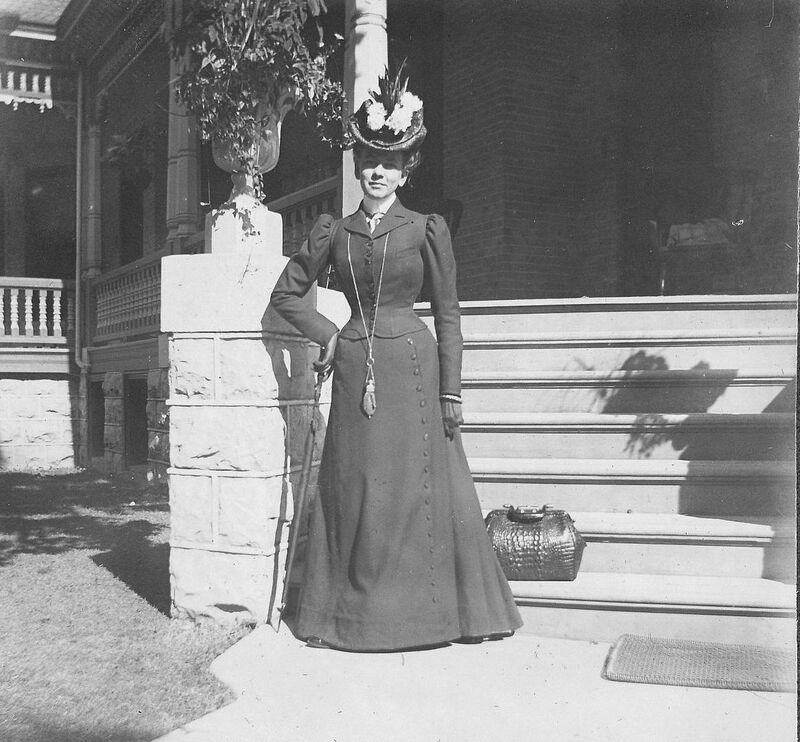 Anna met a fine young gent named Wilbur Walter Whitmore and married him in the late 1880s. Soon after their marriage, they moved to Denver, where they remained for the rest of their married lives. They're pictured here shortly before their marriage. Wilbur was reputedly a fine and decent fellow. He was also my great grandfather. 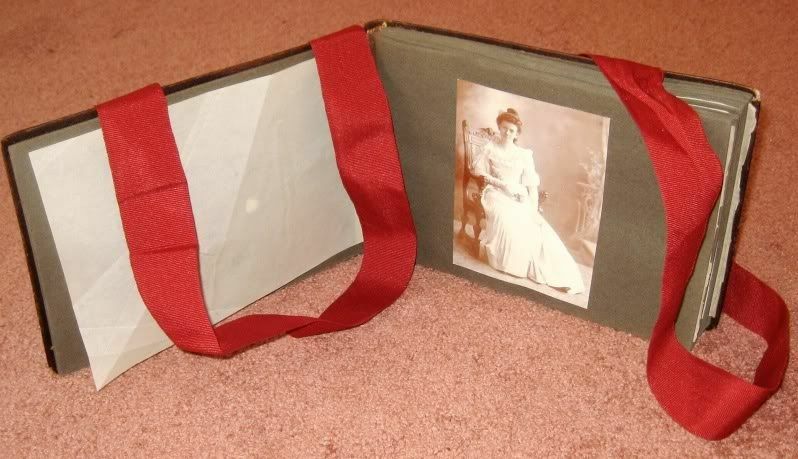 It was Wilbur to whom Addie sent that photo album in Christmas 1900. Judging by this photo, one would have to say that Anna and Wilbur were a pair of swingers! Great-grandfather Wilbur W. Whitmore and I share a birthday: July 4th. He and Anna were married until his death in 1939. 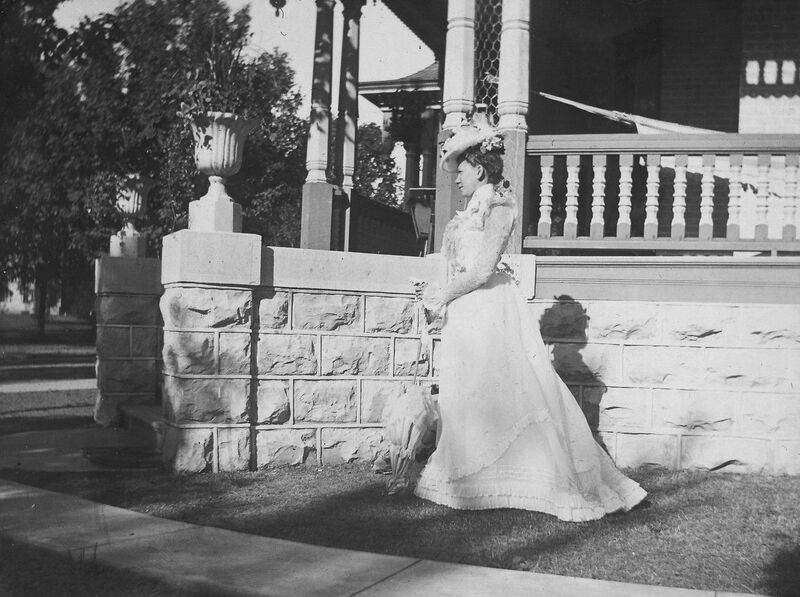 After Wilbur died, Anna moved to Santa Monica to live with her daughter (my grandmother) Florence Whitmore Fuller. He worked for the railroads and was a skilled negotiator. 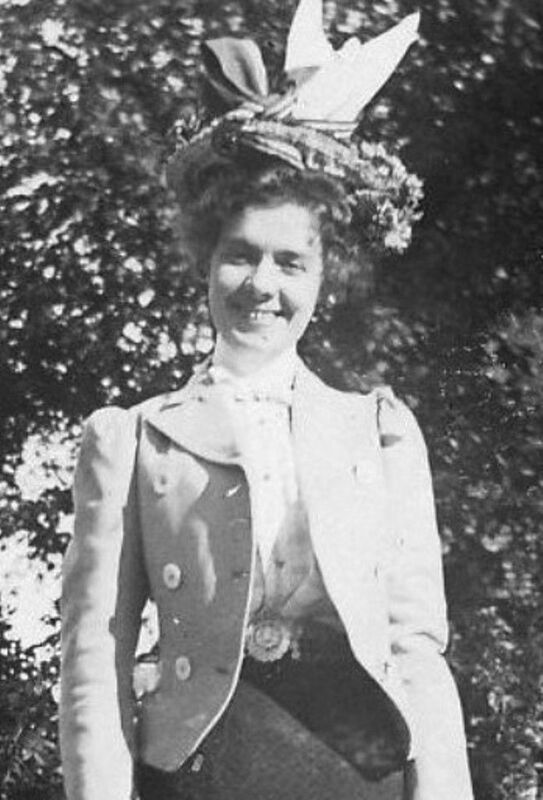 Addie in 1894, about two years before she married Enoch Fargo of Lake Mills. 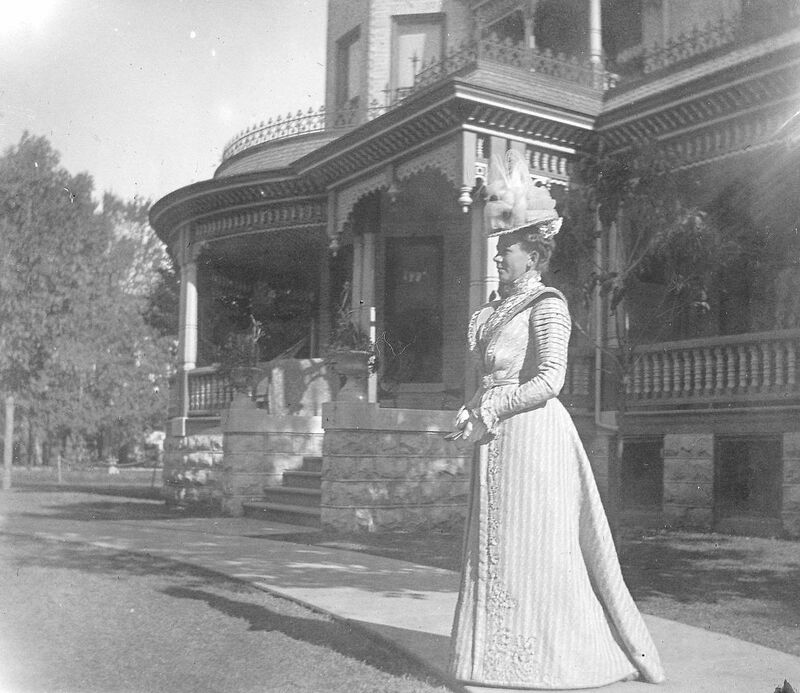 Addie married Enoch Fargo in 1896, and remained in Lake Mills until her death in 1901. Addie and Enoch did not have any children. Enoch had three daughters by his first wife, Mary Rutherford. Two of them survived to adulthood, and also had children. My great -grandmother Anna Hoyt Whitmore had three children with Wilbur; Ernie (shown above), Victor, and Florence (my grandmother). Ernie was six years old in this photo, and he died shortly after this picture was taken. He was born in 1888 and died in 1894. 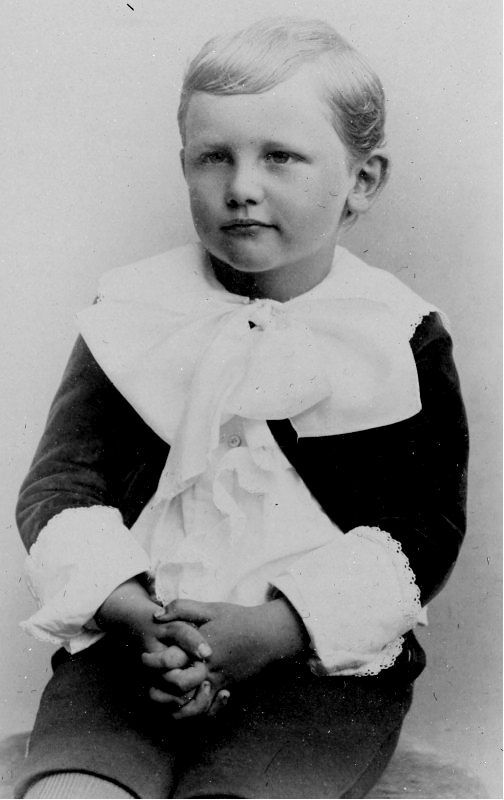 In 12 months time, Addie mourned the loss of her little nephew (six year old Ernie, above), and then her father (1894) and then her mother (1895). And in February 1896, she married Enoch Fargo. 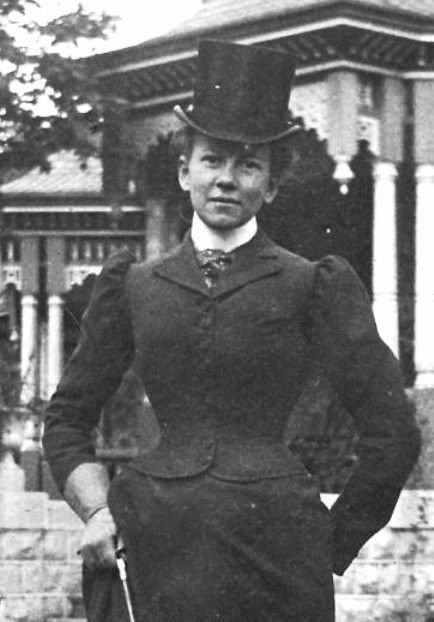 In June 19, 1901, Addie died under suspicious circumstances. Florence Whitmore was Anna's daughter, and she married a tall thin gent named Edgar Atkinson Fuller. 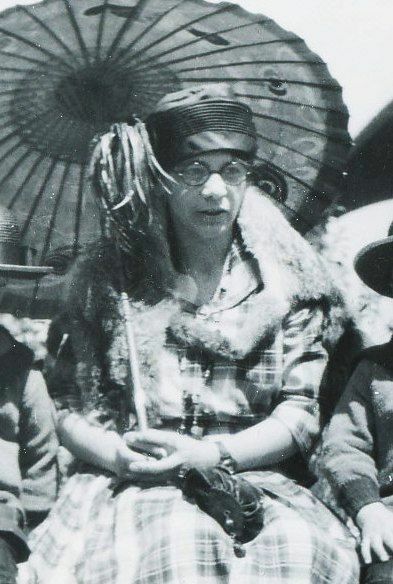 Florence is pictured here in 1922. 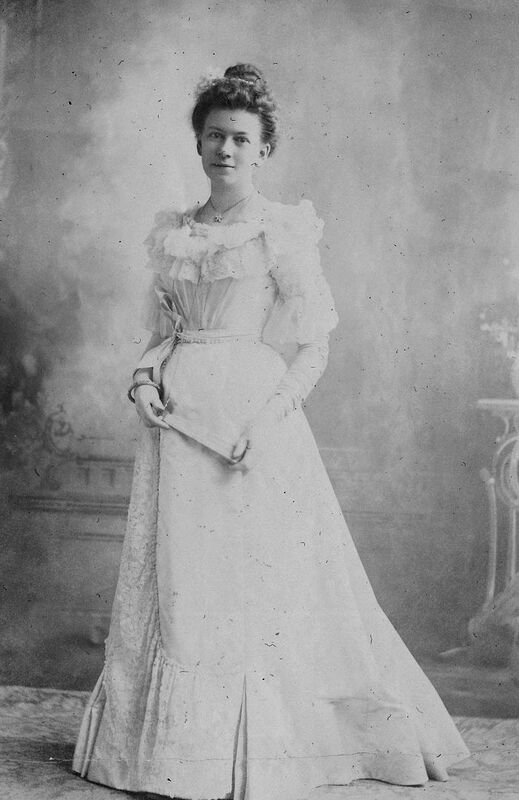 Florence was born in 1891. 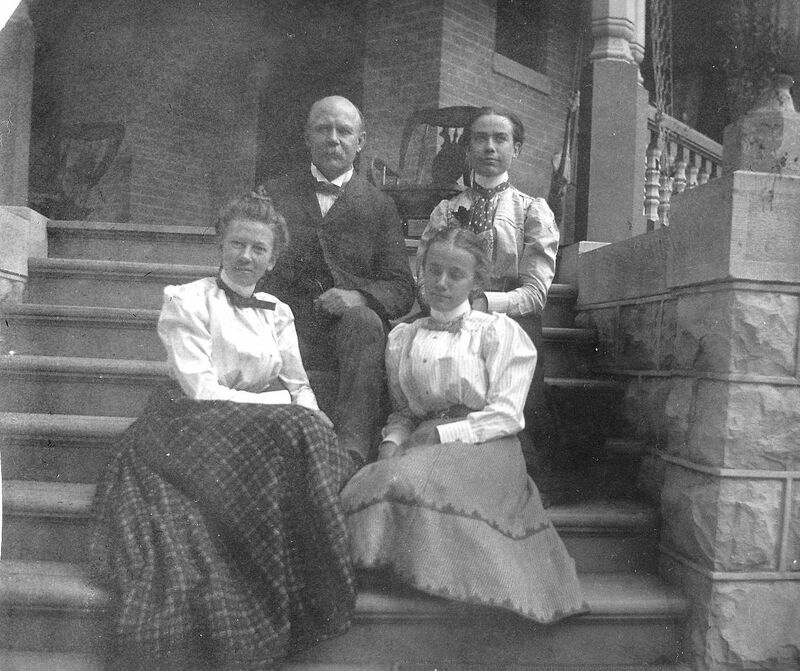 Florence and Edgar had only two children: Thomas Hoyt Fuller (left) and Edgar A. Fuller, Junior (right). 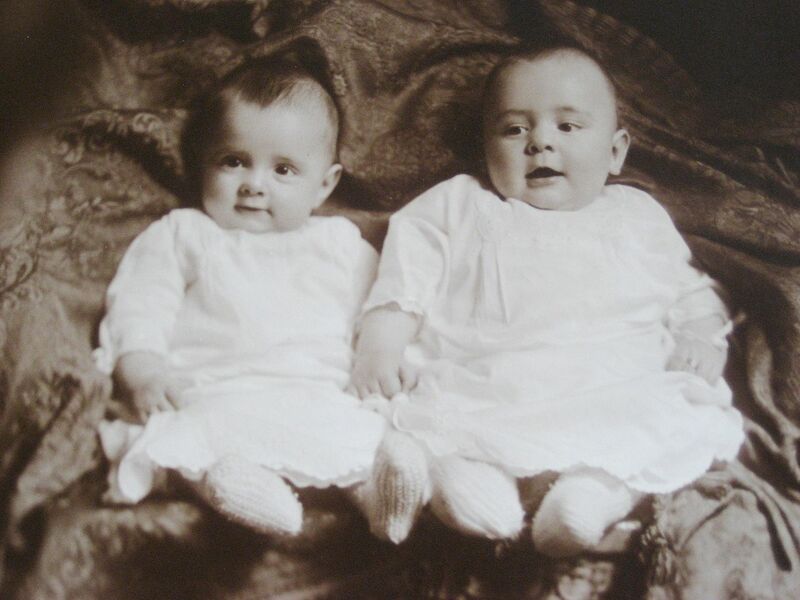 The twins were born June 13, 1919. 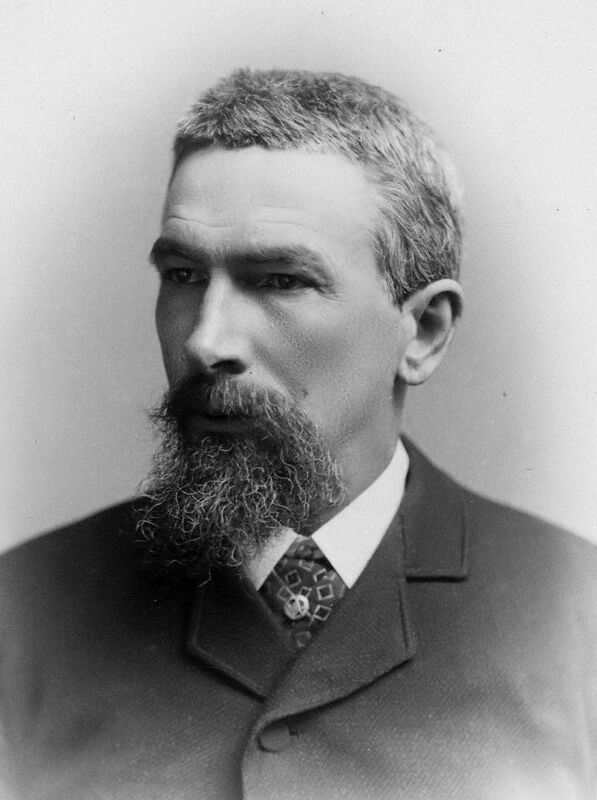 Thomas Hoyt Fuller was named after his grandmother's side of the family. Florence's brother Victor never had children, and Ernie died at six years old. 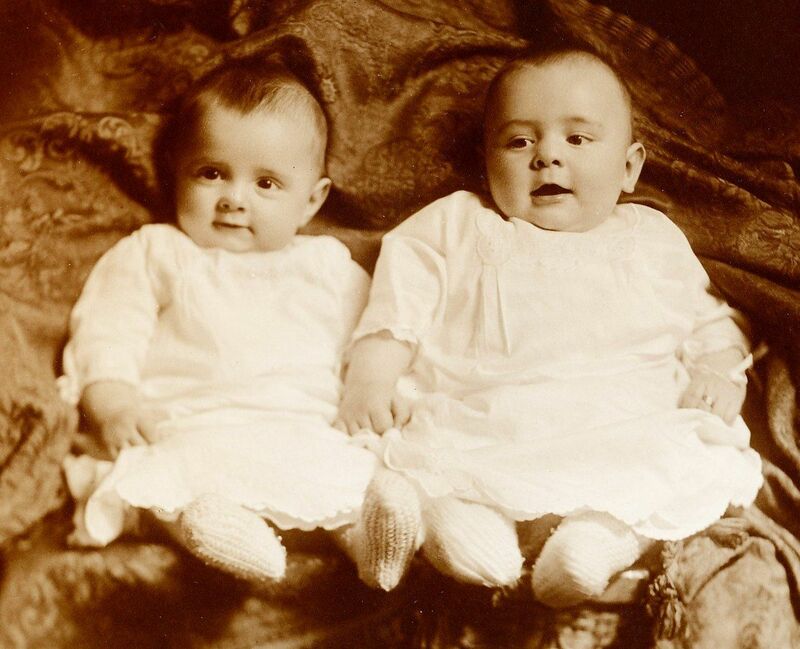 The twins were the only great-grandchildren of Homer and Julia Hawley Hoyt. 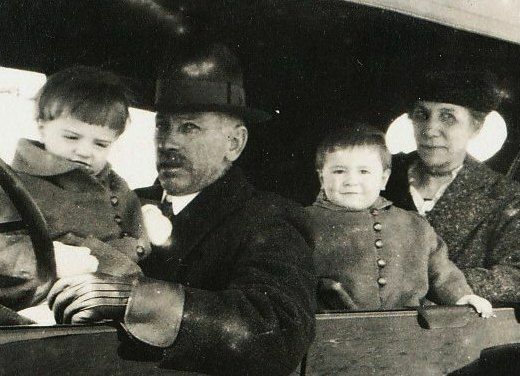 This photo - from 1922 - shows Wilbur and Anna Hoyt Whitmore taking their twin grandsons out for a ride. My father is sitting with Wilbur and my Uncle Ed is sitting with his maternal grandmother, Anna Hoyt Whitmore (Addie's sister). 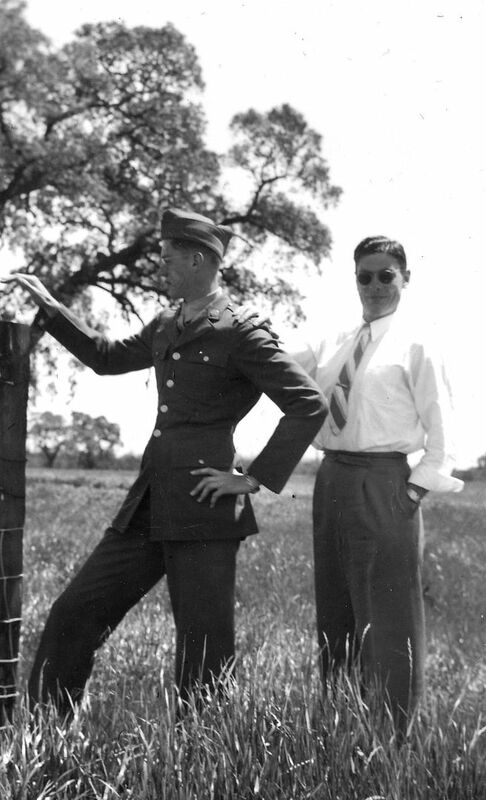 Thomas Hoyt Fuller (left) and Edgar Atkinson Fuller (right) about 1943. The Fuller Twins in 1979. 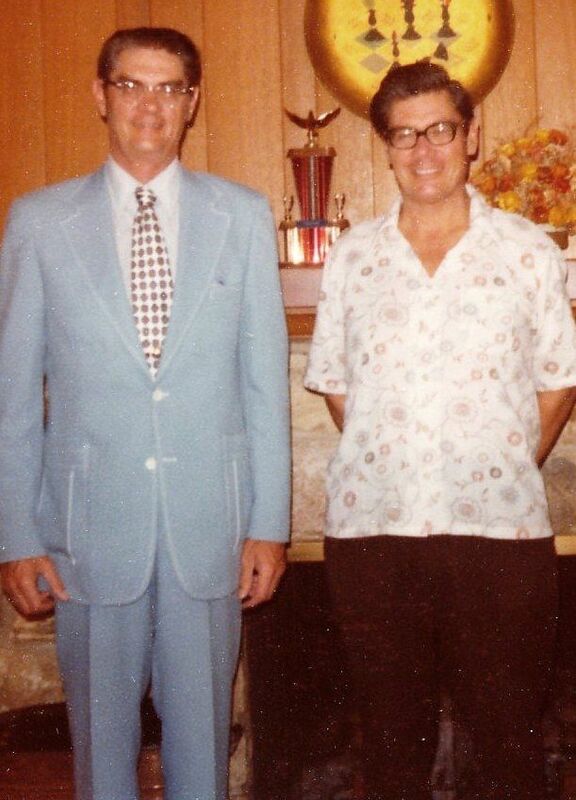 My father (Thomas Hoyt) is on the left. After Thomas Hoyt Fuller came home from the war, he married Betty Mae Brown of Berkeley (who'd served as a WAVE in WW2) and they had four children. 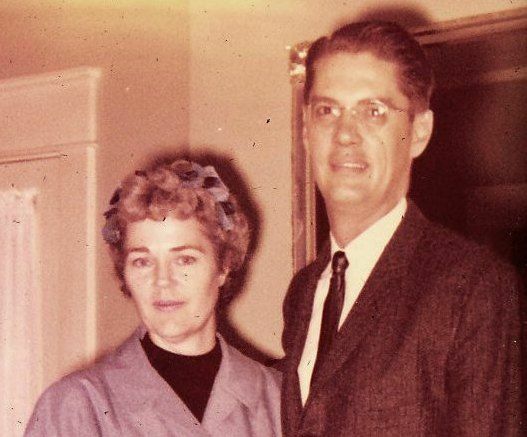 Betty Mae and Tom Fuller in 1960. 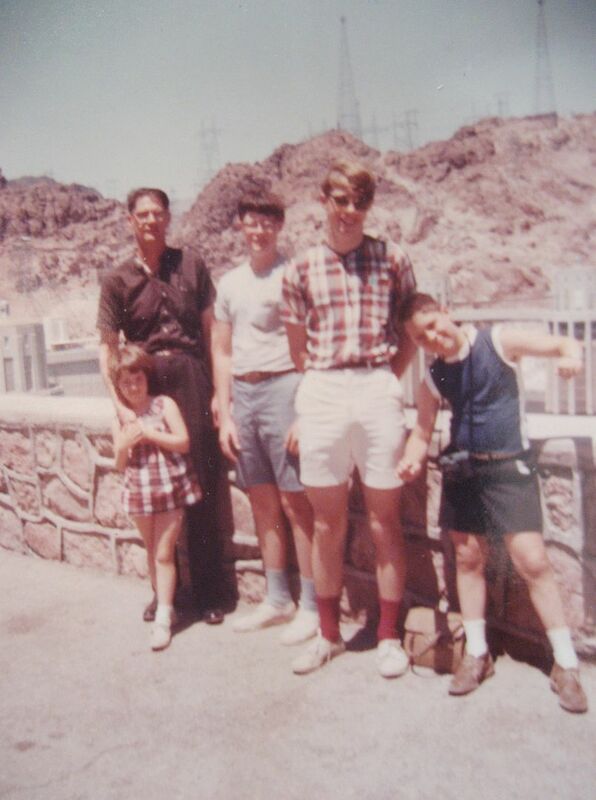 I'm pictured here with my father and three brothers, Rick, Tommy and Eddie at the Hoover Dam (1966). Notice my eldest brother Tom has a shirt made of fabric that matches my short little dress. My mother was an accomplished seamstress, and often made our clothes. 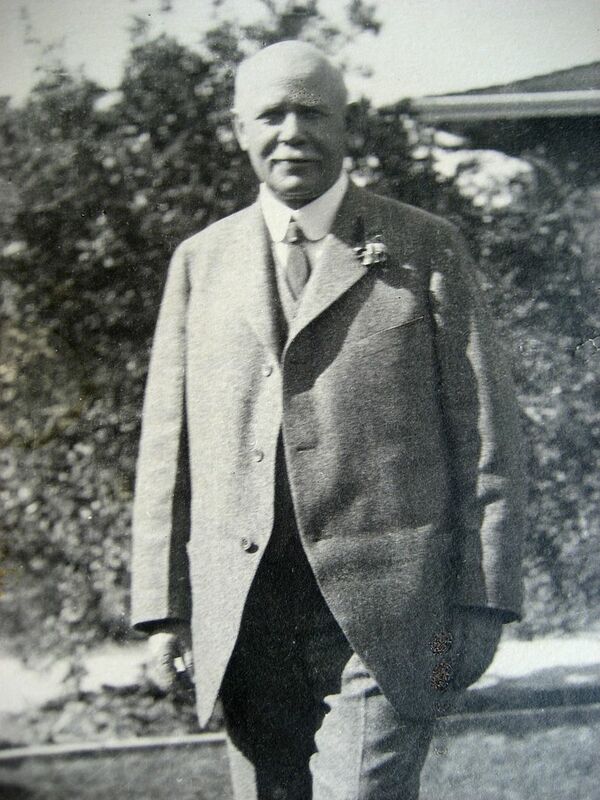 My father (Thomas Hoyt Fuller), had four children, of which I am one. My Uncle Ed had two daughters, one of whom has passed on. My cousin and my three brothers and myself are the only great-great grandchildren of Homer and Julia Hoyt. To read more about Addie, click here. To learn about Sears Homes, click here. This blog was written July 24, 2011. Since then, I’ve learned many new facts. Please click here to read the latest. If Enoch did kill Addie, it seems likely that other people would have been involved in this crime, and even complicit. Were Fargo’s two servant girls in on it? What became of Mary and Martha? Discovering the answer to that might help solve the mystery of Aunt Addie’s mysterious demise. Did Mary and Martha live well beyond 1901? If so, that casts more doubt on the story that Addie died from diphtheria, as that was a highly contagious disease, and surely one of them would have been tending to Addie and washing her bed linens and bringing her food and tending to her chamber pot. Or maybe Mary Frey and Martha Draper came into some money after Addie died? Perhaps they went from being immigrant Germanic servants to prosperous landowners. If Addie Hoyt Fargo was indeed shot in her sleep by her husband Enoch, surely Mary (age 18) or Martha (age 29) would have heard the shot. Enoch allegedly paid off Dr. Oatway to falsify the death certificate. Two young immigrants, working as mere servants, would have been easy for Enoch to “manage.” Did he pay them off? Or did he just threaten to kill them if they ever uttered a word? If you’d just discovered that your employer had shot his wife in the head, it’d be real easy to believe that he could do the same to you. Especially if you’re an immigrant, far from family, broke, and have virtually no life outside of the household. Did Mary and Martha come running to Addie’s room when they heard the gunshot? Or had Enoch sent them away that Tuesday night so that no one would hear the explosive crackle of a revolver? Even if they were not home when it happened, there would have been a mess to clean up later. And cleaning up a mess of that magnitude would have required far more housekeeping than Enoch was accustomed to doing. 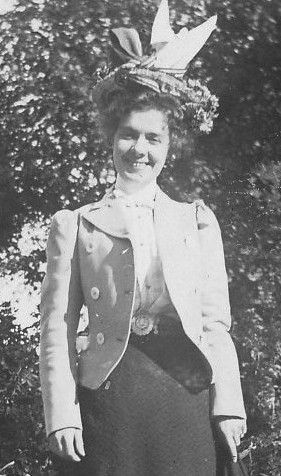 By 1905, Mary Frey and Martha Draper were gone, replaced by two new Germanic immigrant servants: Mary Zimmerman and Minne Lewis (see below). By 1905, maybe Mary Frey and Martha Draper were comfortably ensconced in their new home on Mulberry Street, alongside Enoch and his newest wife, Mattie Fargo. Please take a look at the pictures below and offer a guess as to these two names. 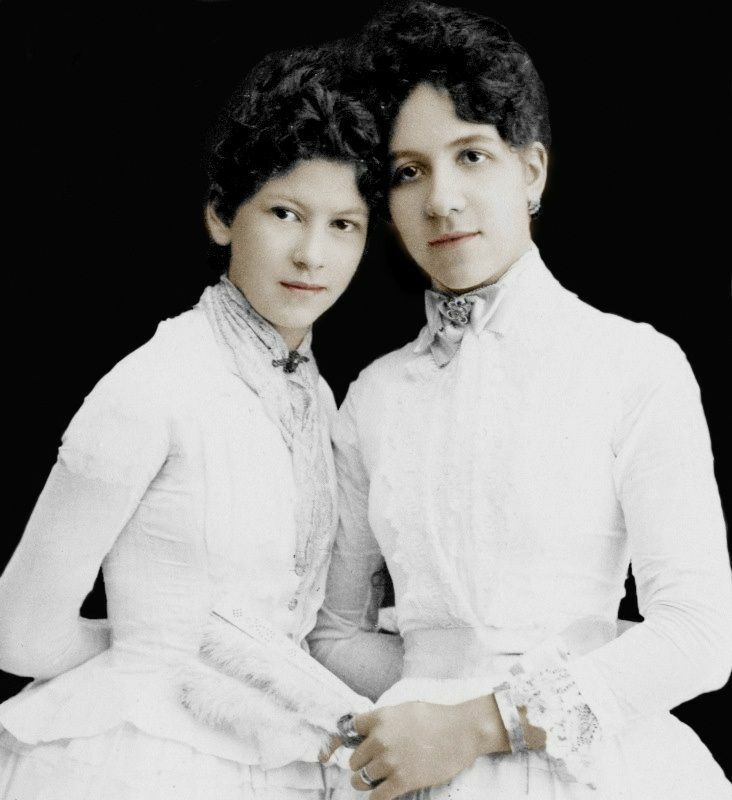 If you’ve any idea what became of Mary Frey and Martha Draper (of Lake Mills, Wisconsin), please leave a comment below. To read the next piece (Part VI), click here. To read Part IV, click here. To read Part III, click here. 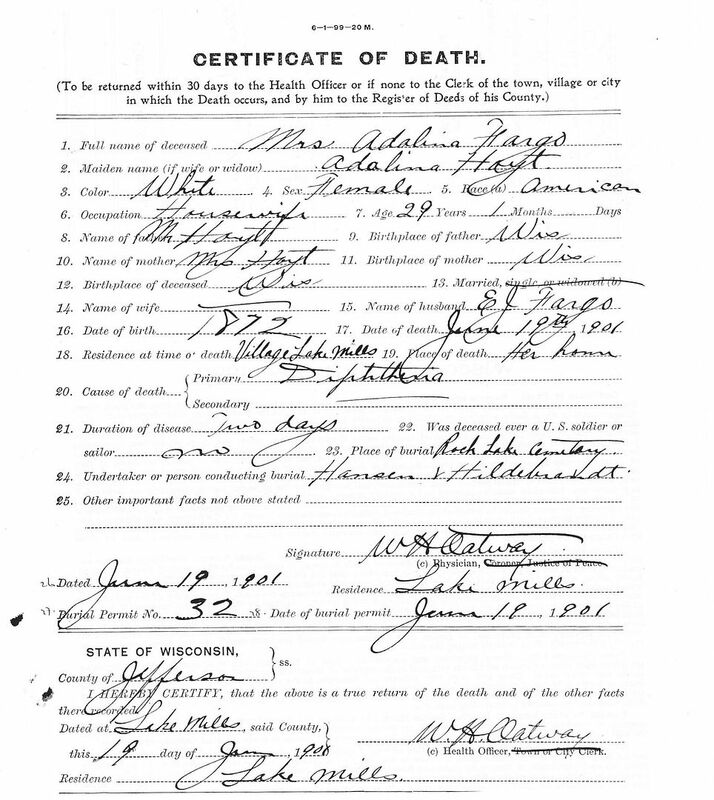 Thanks to David Spriggs (Norfolk) and Bruce A. Samoore, Volunteer Historical Researcher (Wisconsin) for unearthing much of the hard-to-find genealogical facts, death certificates and obituaries. The 1900 Census shows two servant girls living in the Fargo household. One was Marthie, Marthia or Martha A. Draper or Drager and the other was Mary Frey. Please leave a comment below if you know of any way to get in touch with their descendants and/or if you have any knowledge as to what became of these people. Close-up of their names. Any guesses? 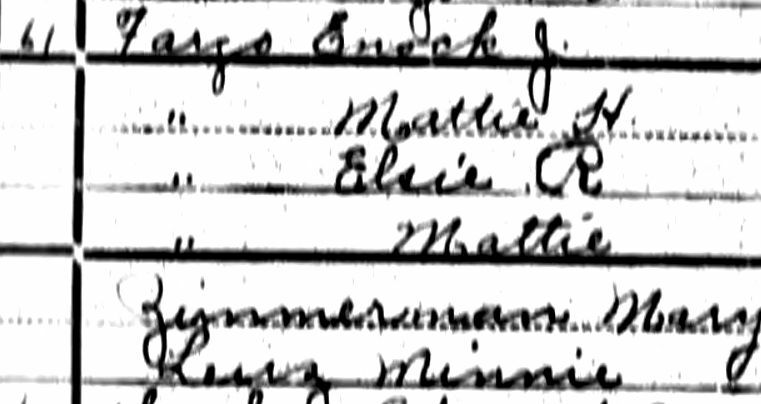 By the time of the 1905 State Census, both Mary and Martha were gone, and these new names appear: Mary Zimmerman and Minnie something, perhaps Lewis? Closer view of the 1905 state census, showing the names of the two servant girls. Note, one of them was a lass of only 17, and the *older* girl was 18 years old. The census also shows that both girls (and their parents) were born in Germany. Extreme close-up of the names of the servant girls, as they appeared on the 1905 state Census. 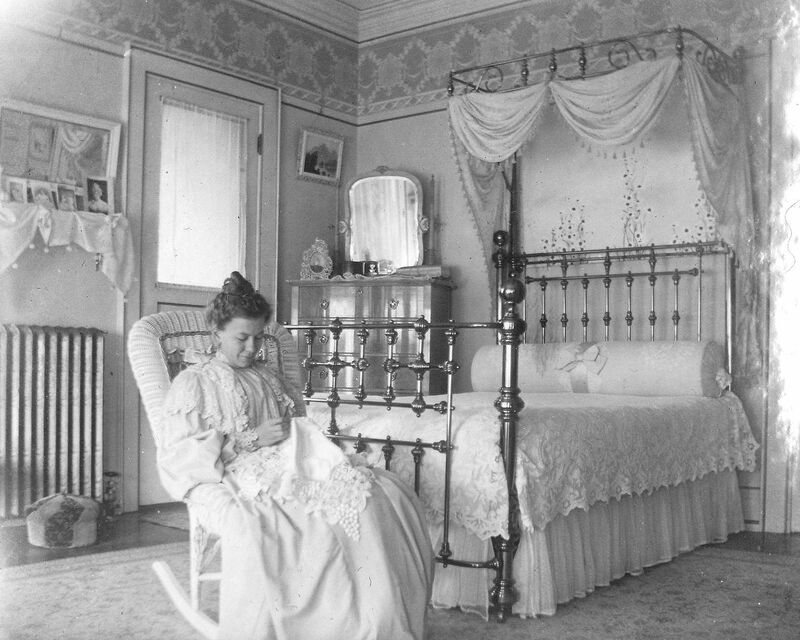 Addie, in the bedroom where she was allegedly shot by her husband, Enoch Fargo. Addie's death certificate, allegedly falsified by Dr. Oatway. Addie's obituary as it appeared in the local paper, soon after her death. I bet Addie was "very much shocked" too. This obituary attempted to explain her fast death from a slow disease process. And here's Maddie, the woman Enoch was (allegedly) willing to kill for. Contrary to local lore, she was not related to the Hoyts of Lake Mills in anyway. Maddie Louise Harbeck Hoyt Fargo was born seven years before her mother (Marie Harbeck) married Henry Hoyt. 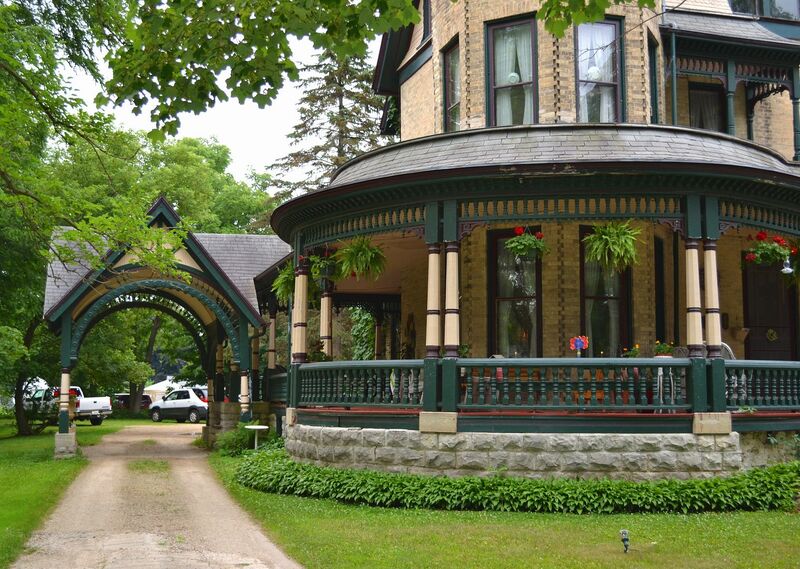 In 1880, Maddie (then seven years old) was living with her grandparents in Lake Mills. Her grandmother was Elizabeth Fargo Harbeck. To read more about Addie and Annie Hoyt, click here. This 1890s photo album was discovered amongst my late father’s treasures and it’s filled with amazing photos. At first, I had no idea who these people were, but after some digging, I learned these were photos my great Aunt Addie, sister of my great-grandmother. They’re beautiful photos with an amazing bit of detail. To see a cluster of amazing photos from another time, scroll on down. To learn more about Addie’s murder, click here. Please leave a comment if you enjoy the photos! 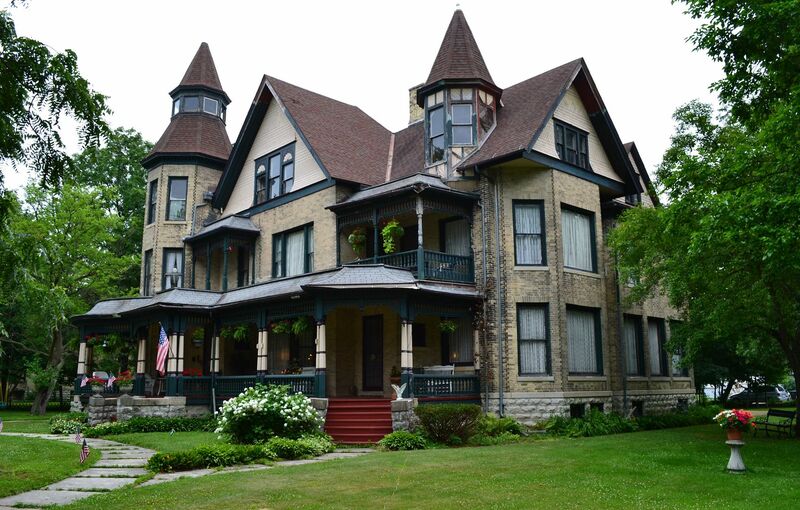 Thanks to Brice Anderson for running up to Lake Mills, Wisconsin to snap a few photos of the old home place. All color photos are courtesy of Brice Anderson (copyright 2011) and can not be reproduced or used without written permission. 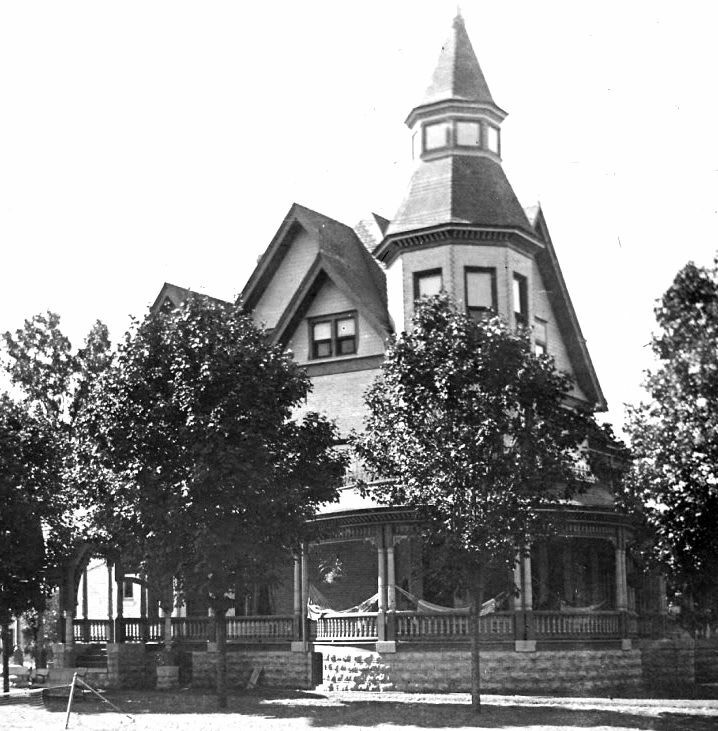 The Fargo Mansion in 1896, soon after my Great, Great Aunt Addie moved in with her new husband, Enoch Fargo. Enoch was 22 years older than Addie. Addie in front of the Fargo Mansion. The fam sits on the front step of the Fargo Mansion. Addie is on the lower left, with Enoch seated above her. Elsie (born 1876) is on the upper right and Mattie (born 1884) is on the lower right. Elsie was a scant four years younger than her new step-mother, Addie. Contemporary photo of those same steps. The old steps have sunk into the ground a bit. For reasons I don't fully seem able to explain, this photo seems especially haunting. This photo is also courtesy of Brice Anderson (copyright 2011) and can not be reproduced or used without written permission. Addie should have taken her little traveling suit and bag and made a run for it. In 1901, Enoch shot Addie in the head as she lay sleeping in her bed. Daughter Elsie beside the stone steps. The music room inside the Fargo Mansion. 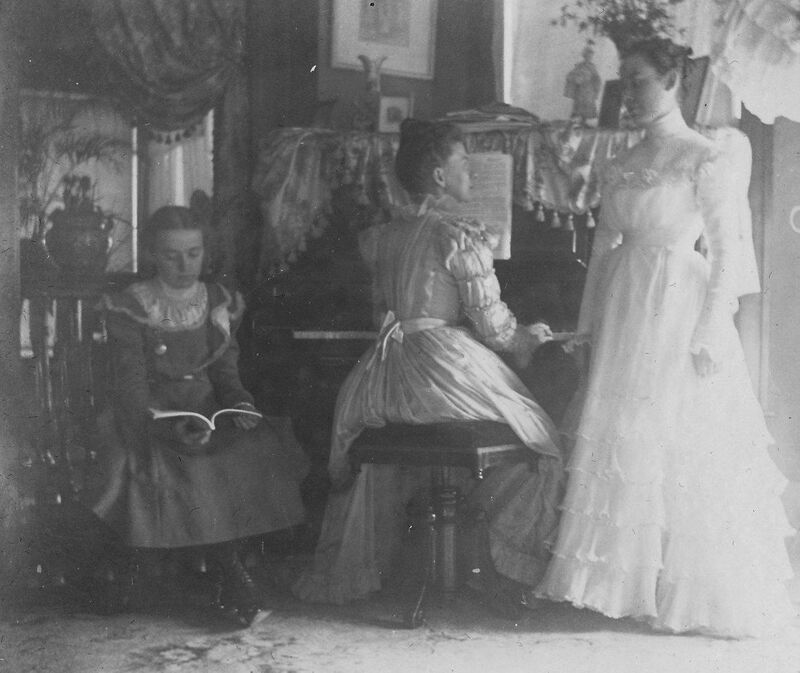 I believe this is Mattie (seated with book), Addie at the piano and Elsie standing (far right). This is a shot from the foyer looking into the music room. If you look closely, you'll see a guitar in the background. Addie was a beautiful young woman, but this is a not-so-beautiful chair. It has faces on the arms and back. Addie in her wedding gown. My favorite photo of all. I love the detail and the beauty and the opulence. This was Addie in her bedroom - where she was shot by her not-so-loving husband. 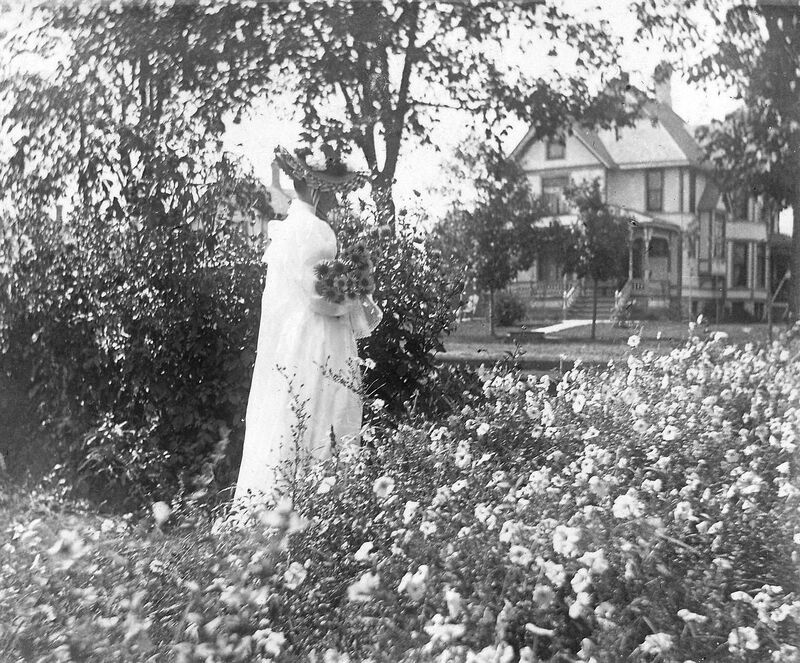 Addie stands in a bower of flowers on the grounds of the Fargo Mansion. The Fargo Mansion today (or yesterday, actually). This photo is courtesy of Brice Anderson (copyright 2011) and can not be reproduced or used without written permission. Fargo Mansion in Lake Mills. This photo is courtesy of Brice Anderson (copyright 2011) and can not be reproduced or used without written permission. 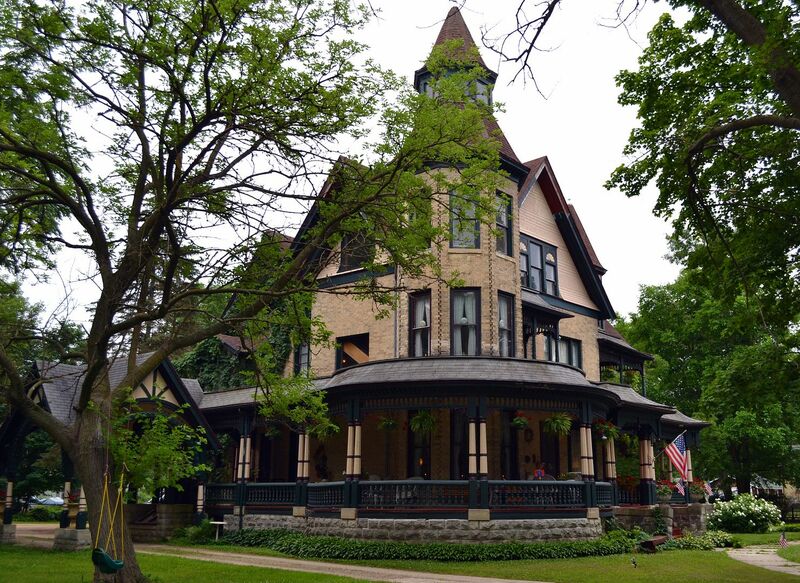 This grandiose Victorian manse was built in 1881. This photo is courtesy of Brice Anderson (copyright 2011) and can not be reproduced or used without written permission. View from the street. This photo is courtesy of Brice Anderson (copyright 2011) and can not be reproduced or used without written permission. 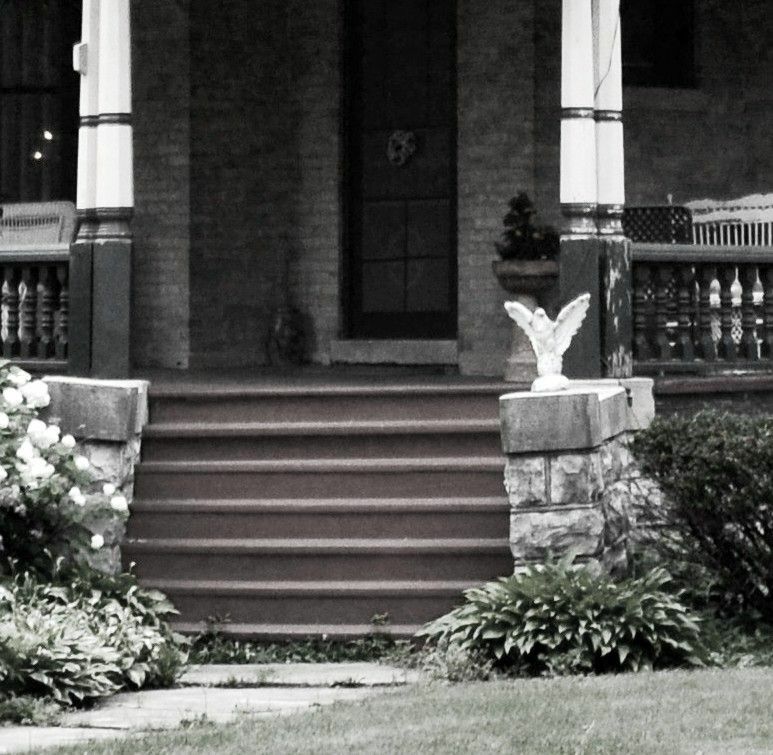 The porch of the Fargo Mansion. This photo is courtesy of Brice Anderson (copyright 2011) and can not be reproduced or used without written permission. 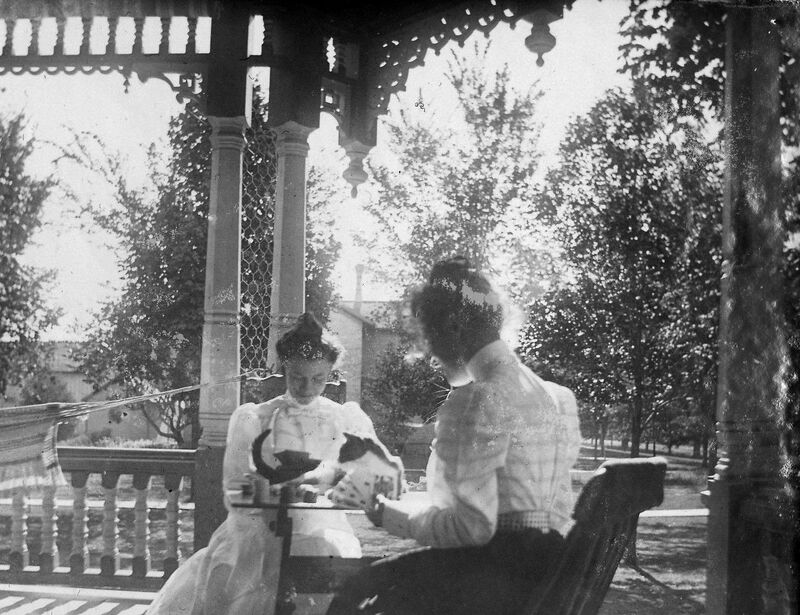 Addie sits with someone (Elsie?) on the front porch of the house. The original fretwork and railings are still evident in the contemporary picture (above). Maddie (shown above) was Enoch's third wife. He married Maddie seven months after Addie Hoyt's death. If I were Maddie, I would have slept with one eye open. 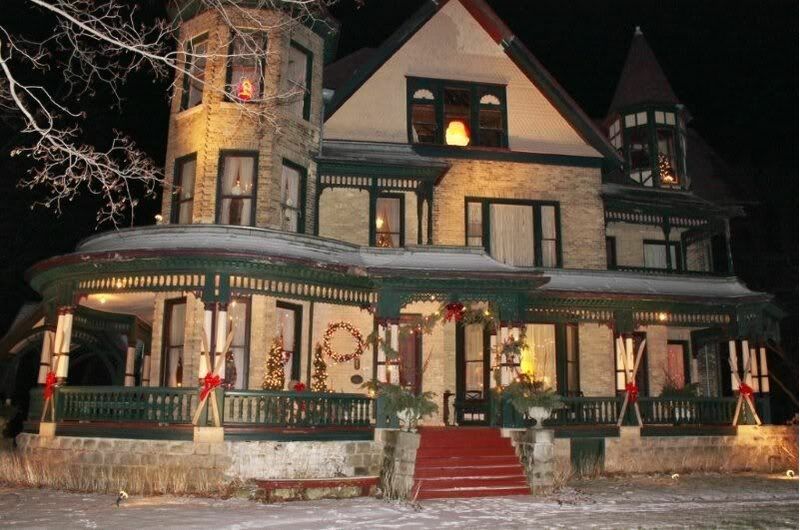 Maddie was said to be a frequent overnight guest at the Fargo Mansion. Addie standing in the home's side yard. Tall tower of the Fargo Mansion. This photo is courtesy of Brice Anderson (copyright 2011) and can not be reproduced or used without written permission. Porte Cochere on the Fargo Mansion. This photo is courtesy of Brice Anderson (copyright 2011) and can not be reproduced or used without written permission. A view of the home's rear. This photo is courtesy of Brice Anderson (copyright 2011) and can not be reproduced or used without written permission. 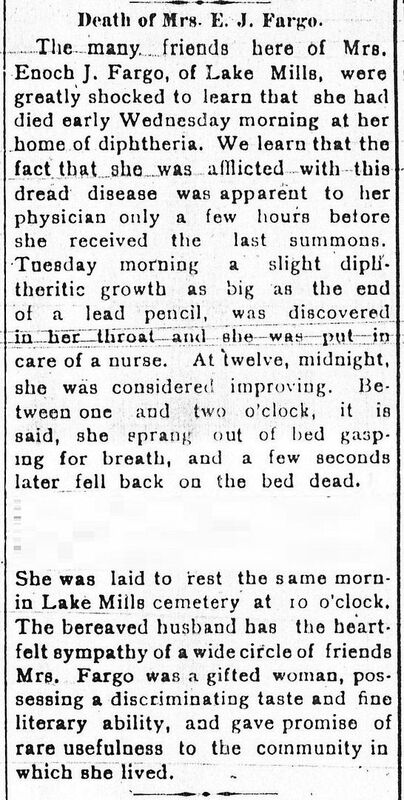 Addie, the papers dutifully recorded, died within 24 hours of her "sickness." In the end, it was lead poisoning that did in Addie, delivered via a revolver at close range. 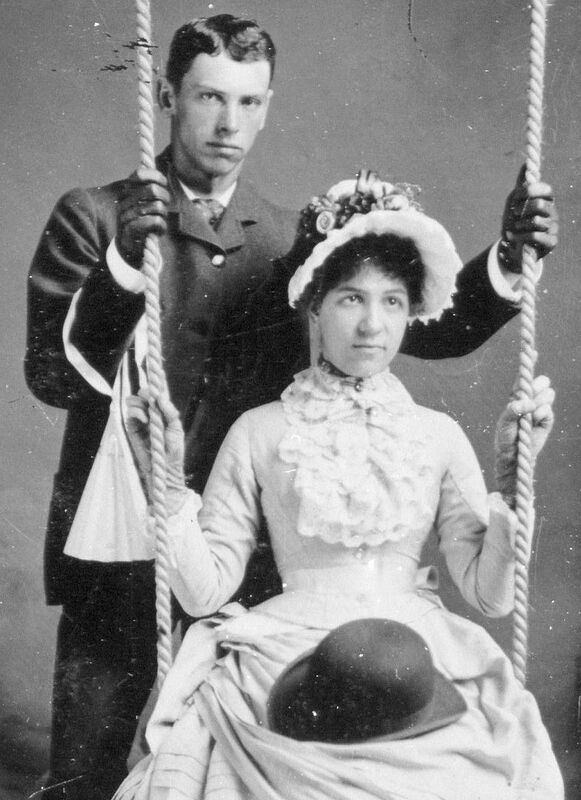 Addie Hoyt and Enoch Fargo on their wedding day, 1896. To learn about my suspicions that Addie suffered from arsenic poisoning, click here. To read about Addie’s death and hasty burial, click here. If you’ve any information to share, please leave a comment below. Was Aunt Addie Poisoned With Arsenic? Was Addie poisoned by her husband, Enoch Fargo? Her remains are in Milwaukee being autopsied, and we’ll soon know for sure. This blog was originally written June 26, 2011. Since then, I’ve traveled to Lake Mills twice and I’ve learned a lot. To answer the question, the results of Addie’s autopsy were inconclusive, but based on other evidence that’s been discovered, Addie apparently was murdered at the age of 29. 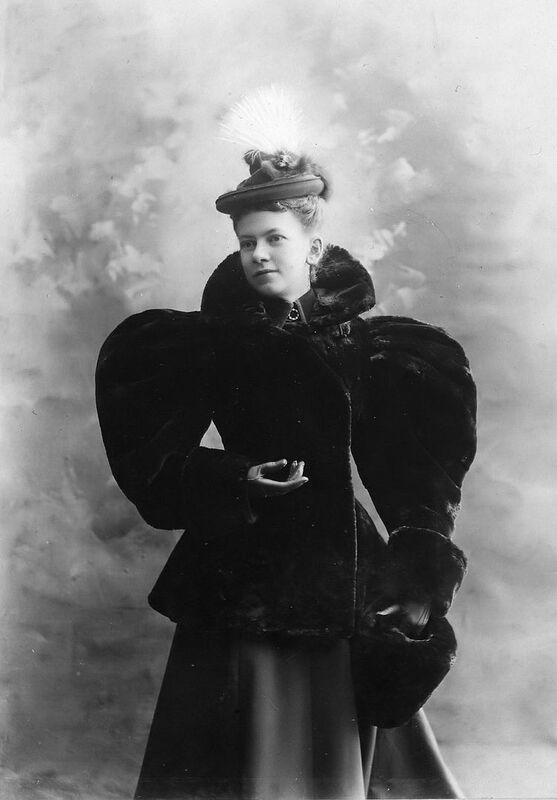 Seven months after her death, her husband (Enoch Fargo) had remarried the young woman who’d been living in the Fargo Mansion. To learn more about this, click here. My adventure into this Addie Hoyt story began with an ending: My father’s. Friday morning at 2:35 am, after sitting at his bedside for some time, my father breathed his last. In the solemn quietude of that darkened room, I walked over to my husband, sleeping on the nearby couch, and tried to wake him gently. “I think he’s passed,” I whispered. My husband sprang up, dashed into the bedroom and felt for a pulse. “We should call the nurse,” he said. It was Friday, June 10, 2011. Three days later, I was back at the assisted living facility, cleaning it out. I was supposed to meet someone there who’d take on the task of getting everything out of the tiny apartment. He was instructed to remove every item and take it to Goodwill or to the trash. Mr. Clean-up Guy was two hours late. While I waited for him to show up, I grabbed the super-sized black trash bags I’d brought and started sorting through the massive pile of stuff. I came upon two books of old photo albums. I flipped open one of them and saw a horse wearing a doily. “What is this?” I thought to myself. I didn’t know if he’d found it on a trash pile somewhere or had purchased it somewhere - or worse - maybe it belonged to his second wife’s family. I assumed the latter, and threw the 100-year-old photo albums right into the trash. I was overwhelmed and tired. A few minutes went by and I got to thinking about those two albums. The historian in me couldn’t stand it. I retrieved them from their dark resting place. And then after looking through the photo albums a second time, I threw them out again. Why was nothing going right? Where was Mr. Clean-up guy? Why couldn’t God give me a break? I’d just learned that I was going to be the one delivering the eulogy at my father’s funeral. I was the one organizing the funeral. I was the one who’d sat with him those last two weeks, helping him make the transition from this world to the next. And now I was the one who was cleaning this debris-laden apartment. I felt very alone. And I didn’t have the emotional energy to deal with my father’s crazy collection of paperwork, ephemera and photo albums. I cried some more. And then I called a friend, Lisa Gould, and asked for her help. She stayed there with me for three hours. I’d like to say she helped me clean out the place but that’s not true. Lisa did all the cleaning while I sat on the couch and fought the temptation to curl up in a corner in the fetal position and make soft whimpering noises. In the end, I tossed those photo albums into a maroon pillow case. I had not come prepared to take anything home, so those pillow cases were the best I could do. And later that evening when I arrived home, that maroon pillow case got tossed on the floor of my hallway until I had the emotional energy to deal with it. 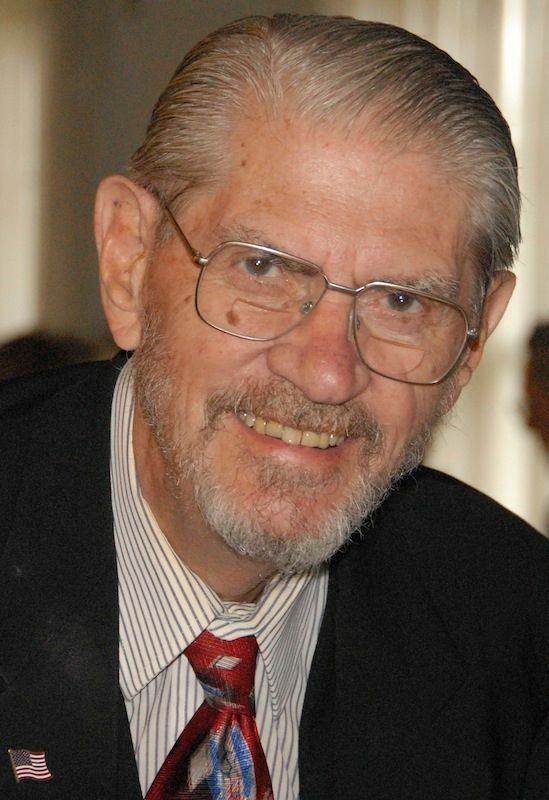 My father’s funeral was Monday, June 20th. Once that was behind me, I felt ready to push on with life. My daughter came to my home on Tuesday (the 21st) for a visit. I handed her the photo albums and said, “I have no idea who these people are, but these photos are pretty interesting. She took one of the albums home to show her significant other, Chris. “He likes looking at old pictures like this,” she told me. My grandmother was born in Lead, South Dakota in 1891, so I assumed that “Fargo” was the location. And that’s how this adventure began. To read more about Addie’s death, click here. To read the latest on Addie’s death, click here. To read about the results of the autopsy, click here. This was the first picture my eyes fell upon when I opened the old album. And this was one of the photos that convinced me to hang onto this photo album. The detail and the clarity of this photo really was breath-taking. I had a feeling that whomever owned this mansion today would love to see these incredible photos. 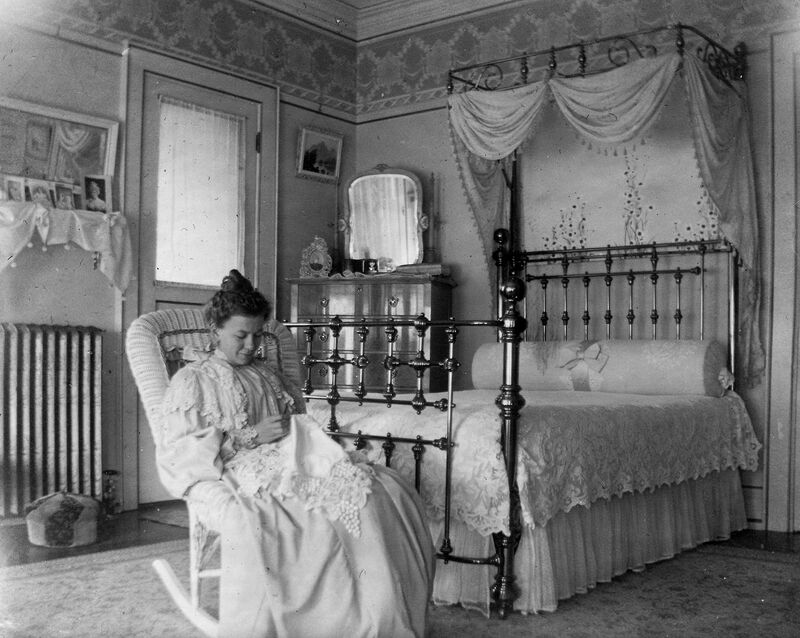 Turns out, this is Addie sitting in her bedroom (about 1896). My father - Thomas Hoyt Fuller - in January 1943. He was named after Addie's side of the family, and also named for a more distant relative, "Thomas Hoyt," who was a revolutionary war hero. Before Enoch, Addie was a beautiful, vibrant, strong woman. She was 24 years old when she married him; he was 46. 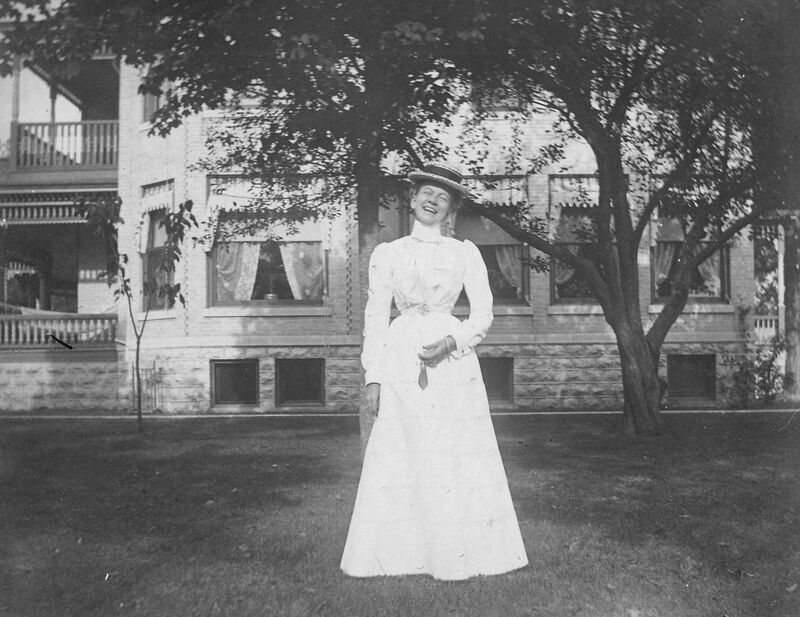 Seven months after her death, he remarried Martha Harbeck Hoyt, a woman that had been living in the Fargo Mansion prior to Addie's death. Enoch Fargo should have come with a surgeon general's warning. Being married to him was obviously very hard on a woman's health, physical well-being and even their life. 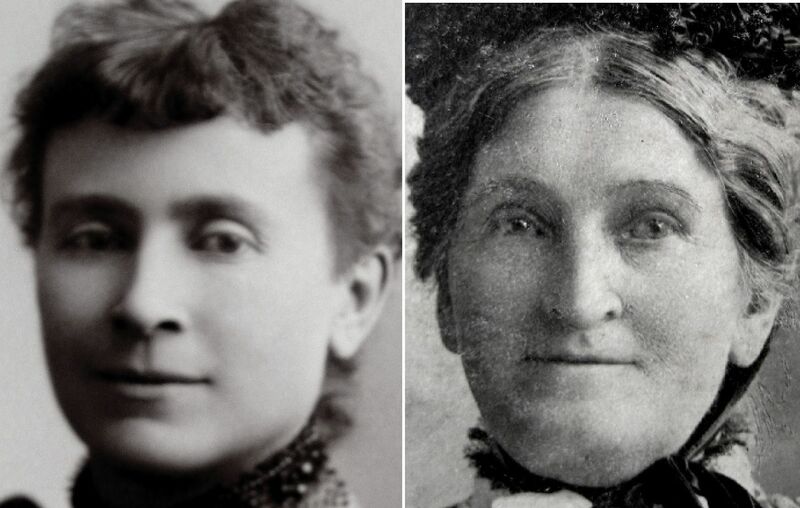 Here are two photos of Enoch's first wife - Mary Rutherford Fargo. She died at the age of 37 (allegedly from Typhoid), so in this picture on the right she can not be more than 37 years old. Poor Mary. 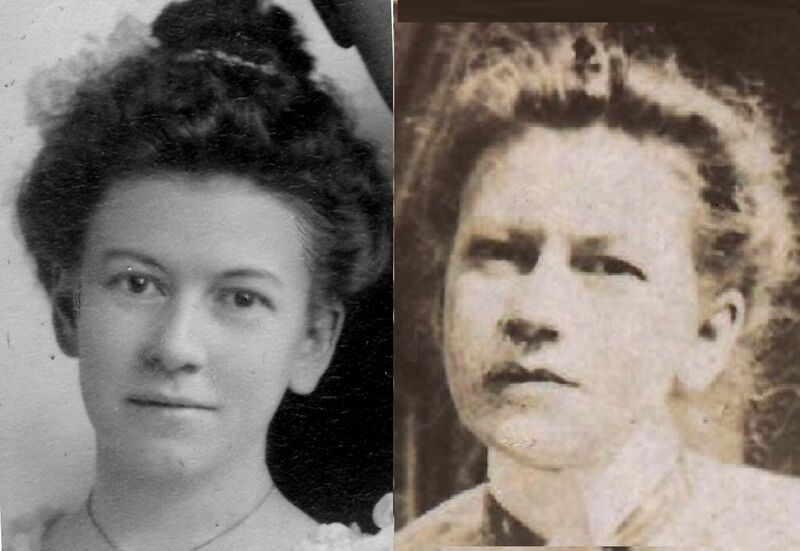 And here's a picture of Addie, in 1896 (on her wedding day), and a scant five years later. Life with Enoch took a toll on both wives, and according to Mary Wilson, being married to Enoch not only took away Addie's youth, vigor and beauty; it also took away her very life. What does Addie's body language tell us here? I'd love to know.